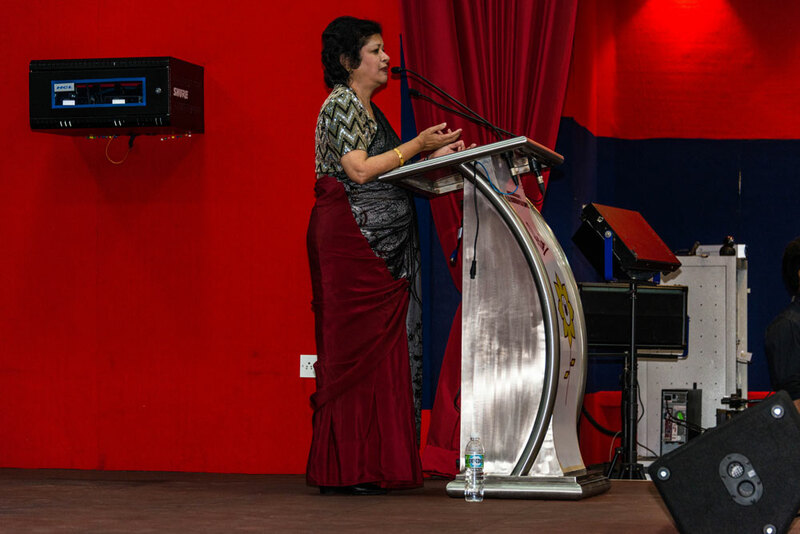 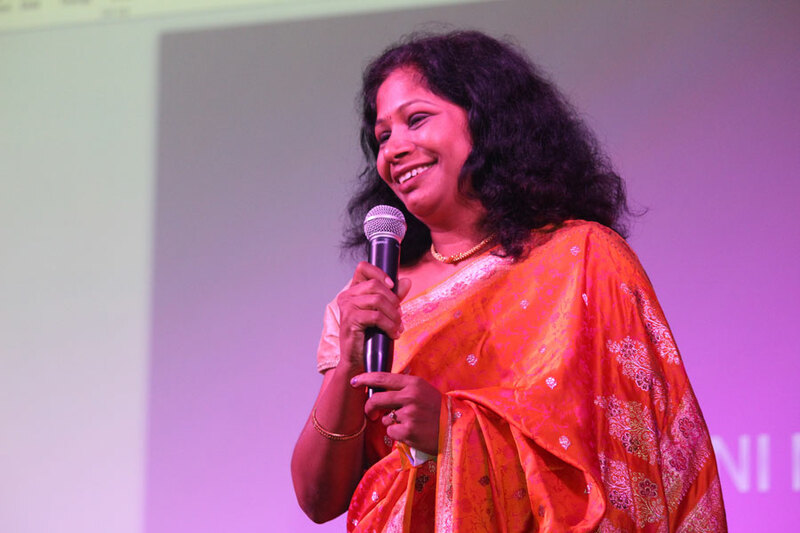 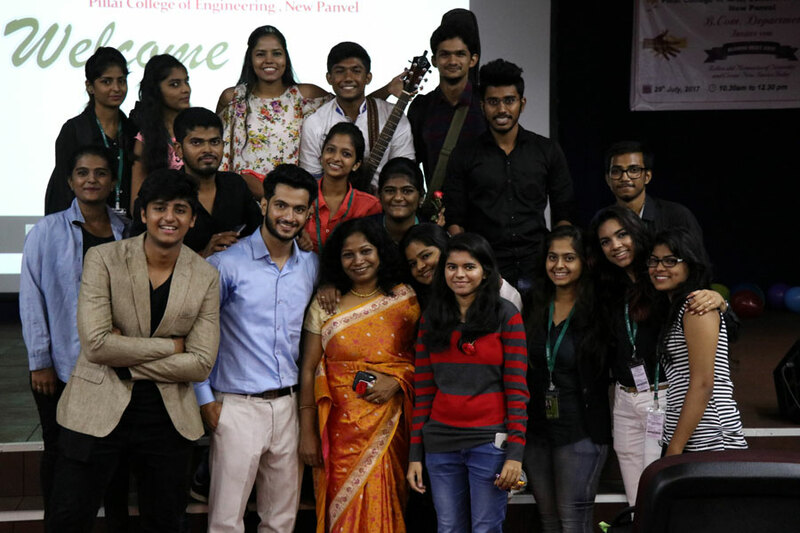 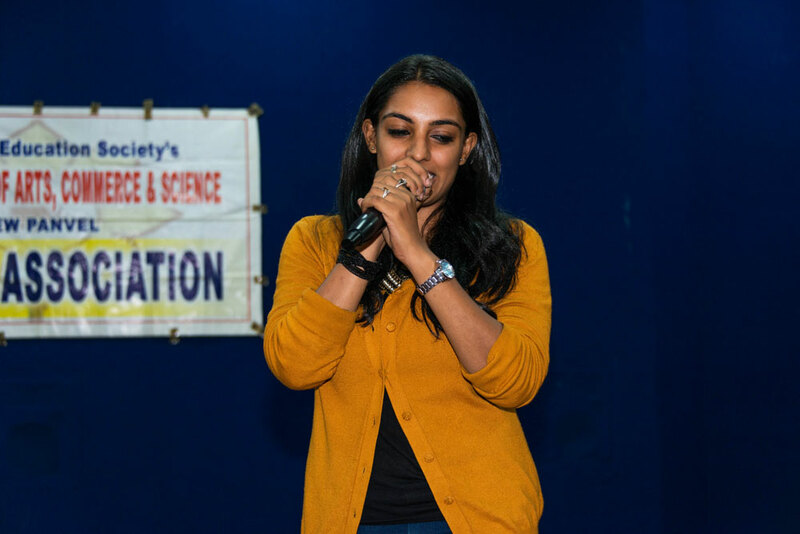 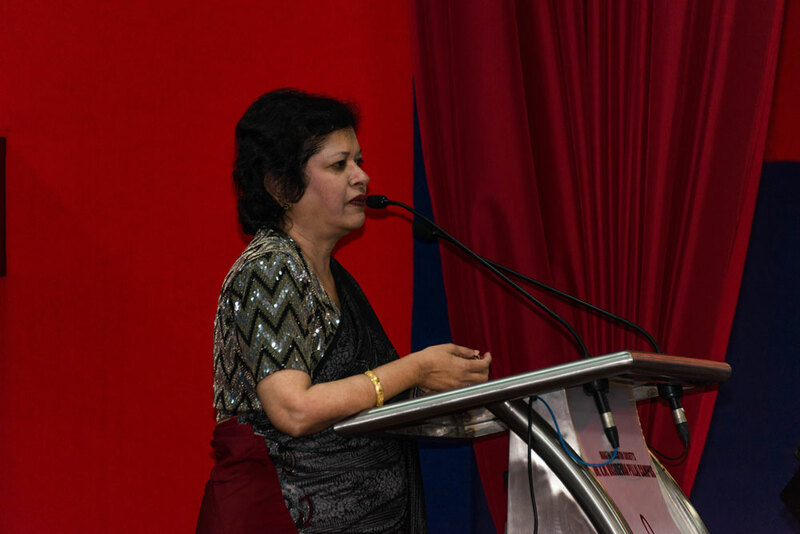 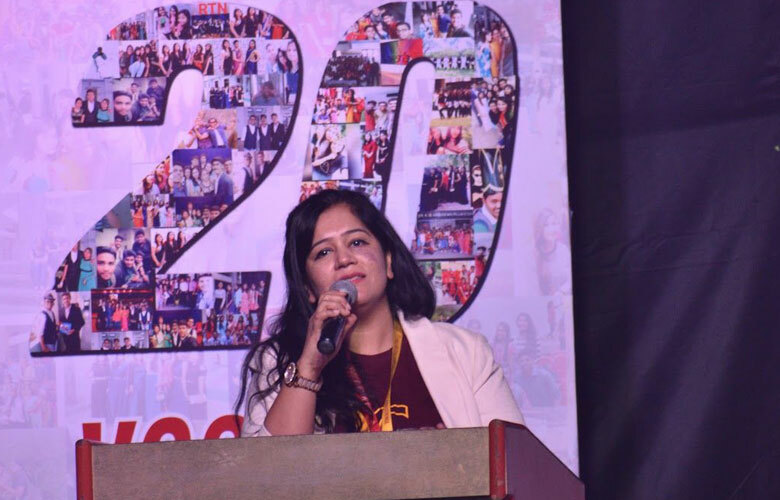 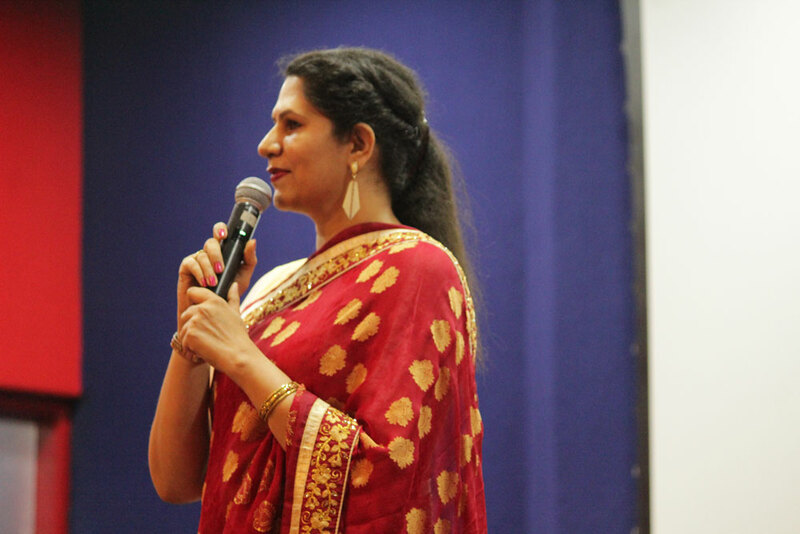 To take a walk down the corridors of nostalgia, the Second Alumni Meet, Techies Meet 2018, was inaugurated by the Vice Principal Mrs. Deepika Sharma, Prof. Rashmi Chavan on 17th March, 2018. 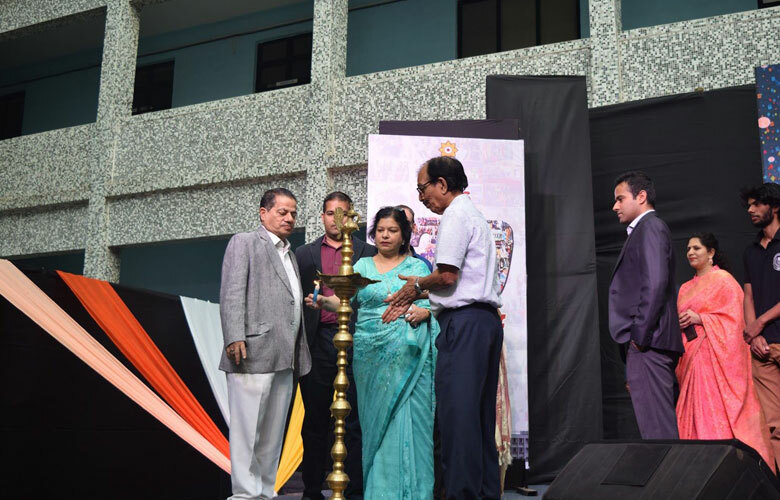 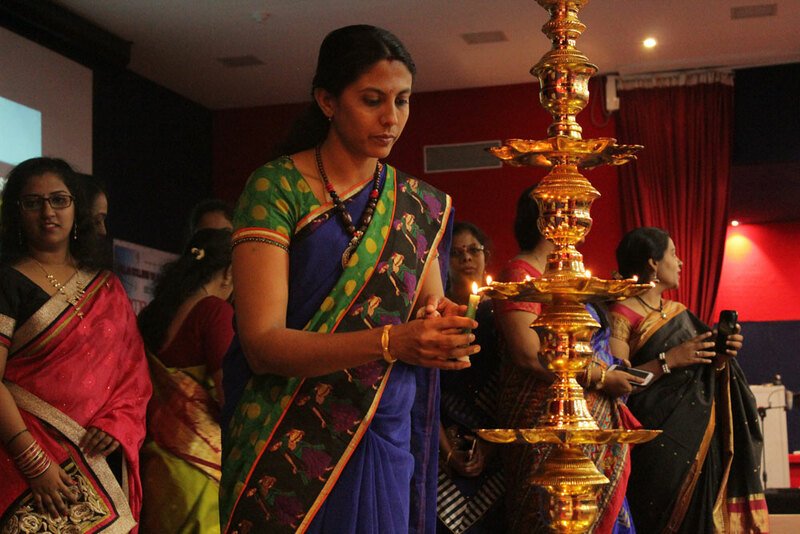 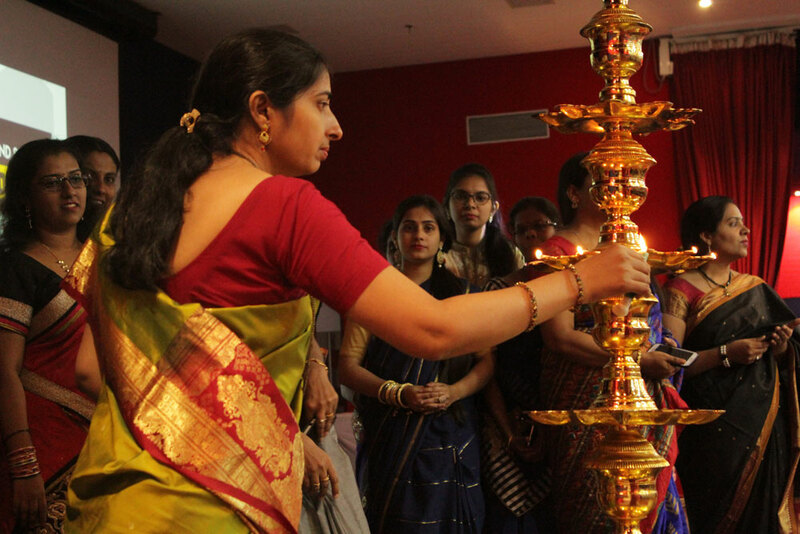 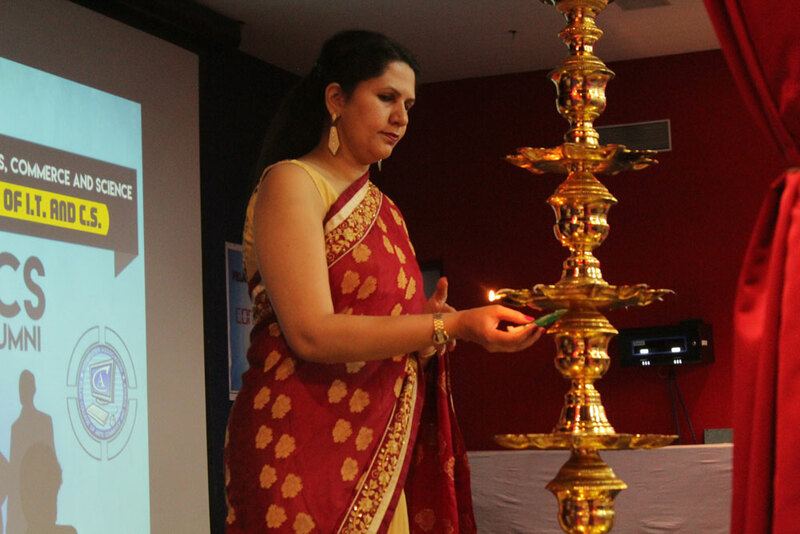 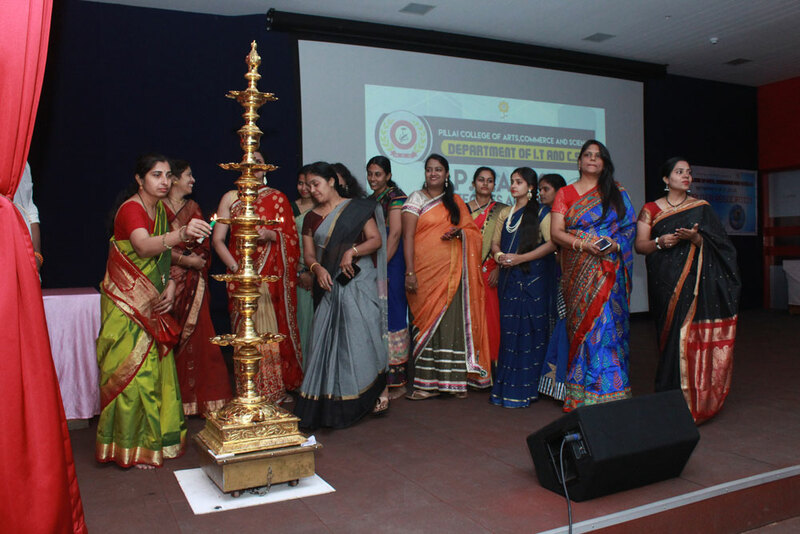 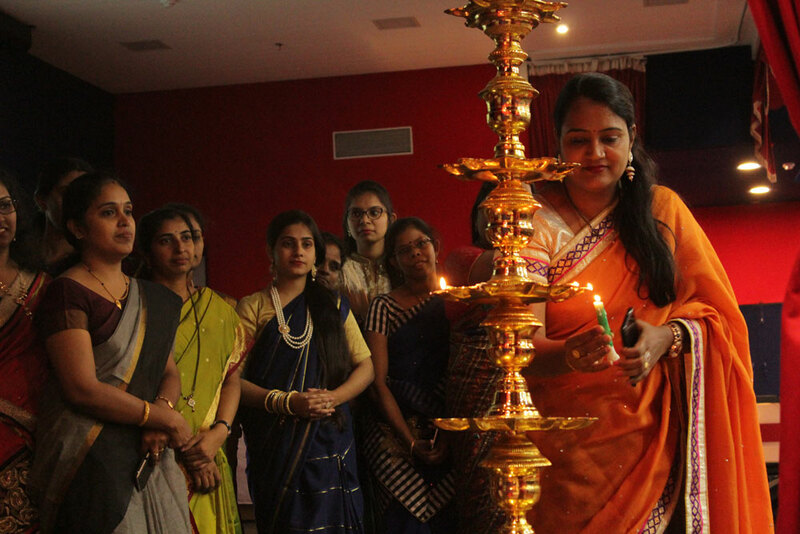 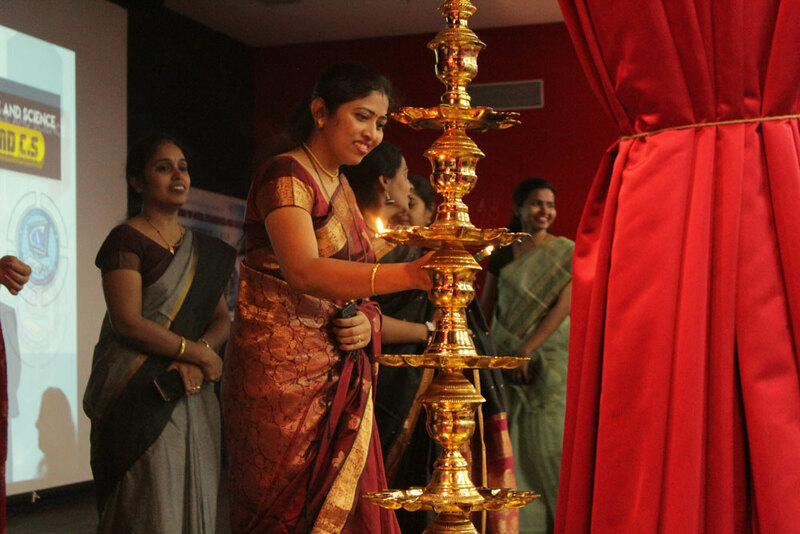 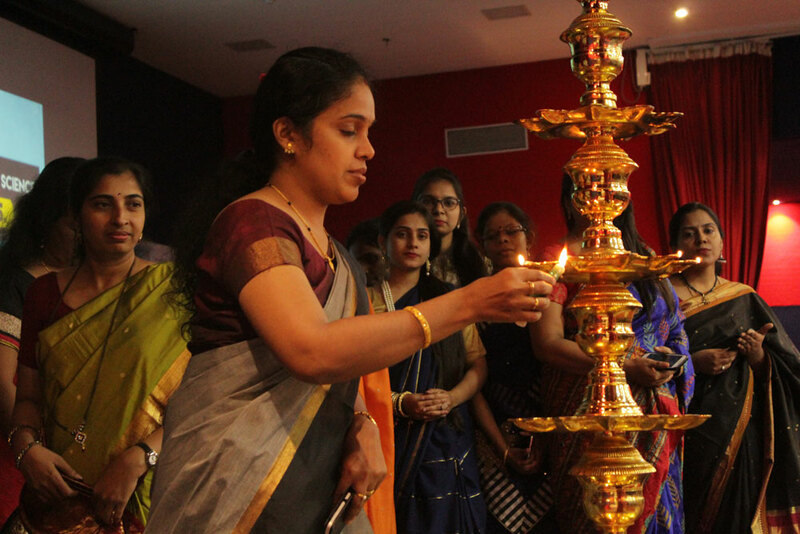 The meet started traditionally with the lighting of lamp by all teachers of B.Sc.I.T. 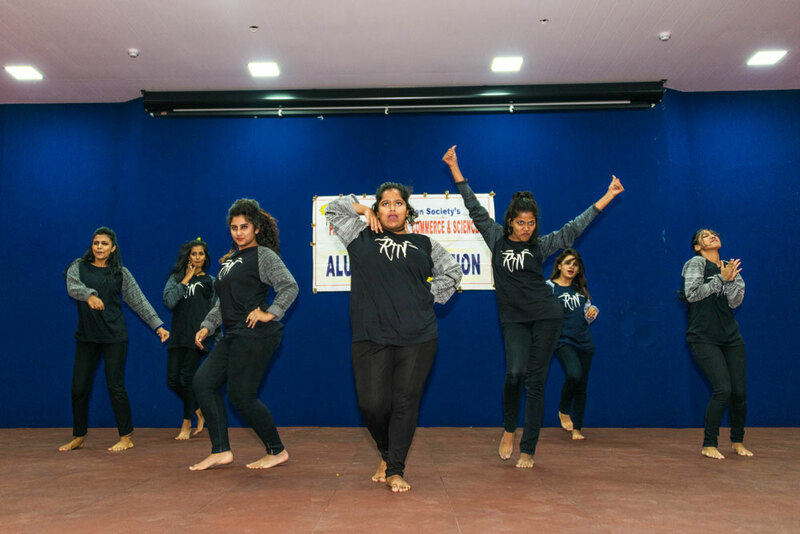 and B.Sc.C.S. 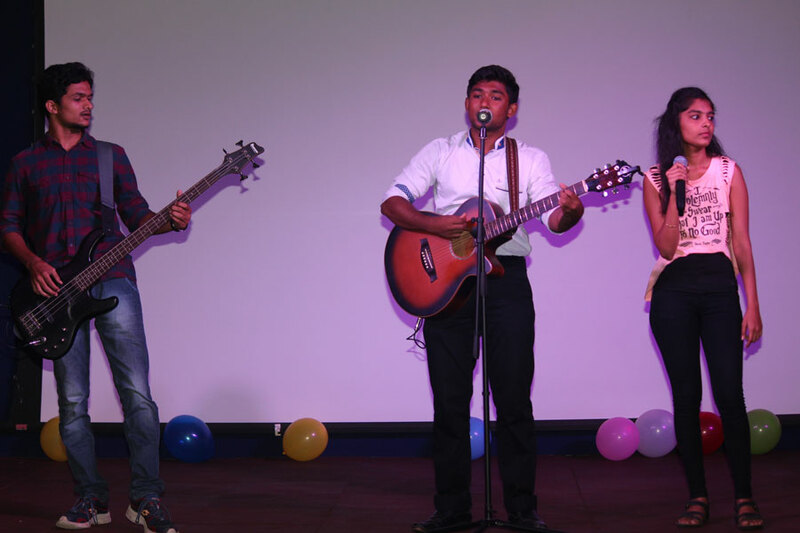 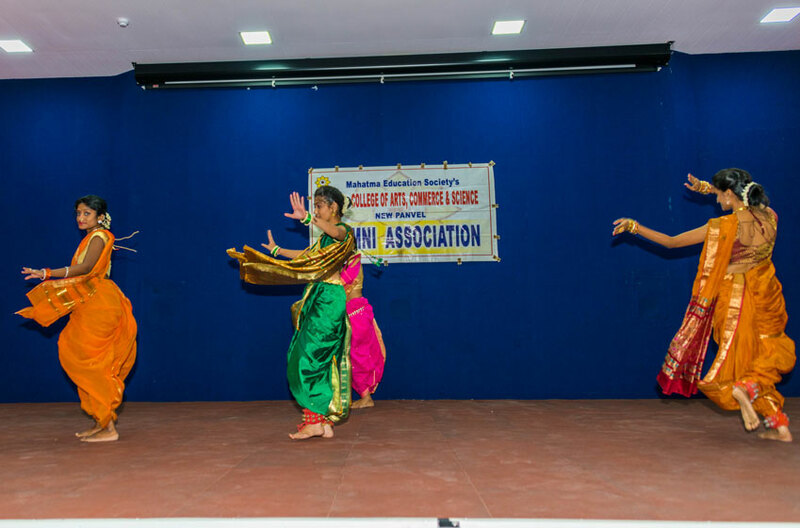 Department was followed by the recital song Saraswati Vandana. 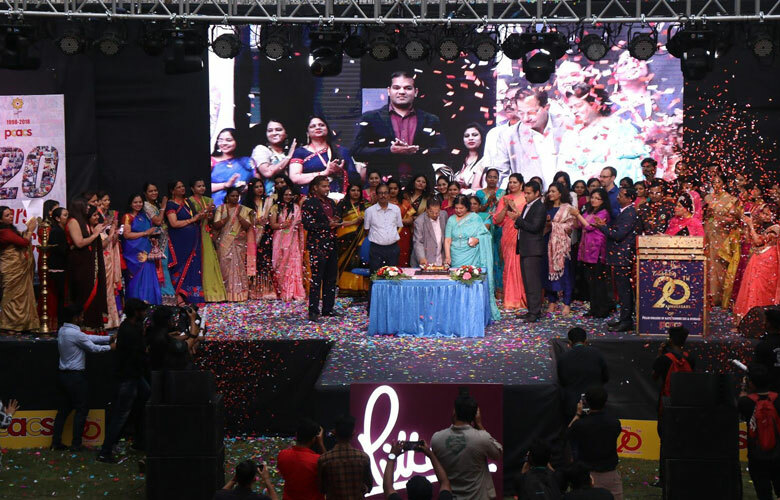 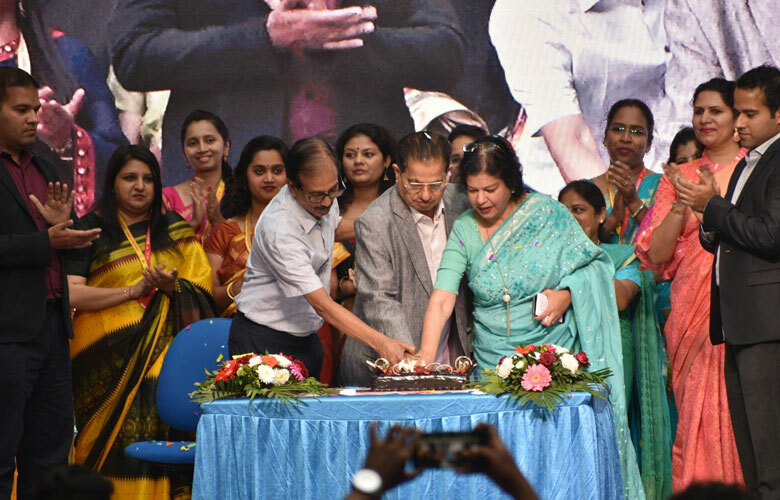 The occasion was graced by more than 150 Alumni and their family members ranging across various batches from various parts of the country and outside the country as well. 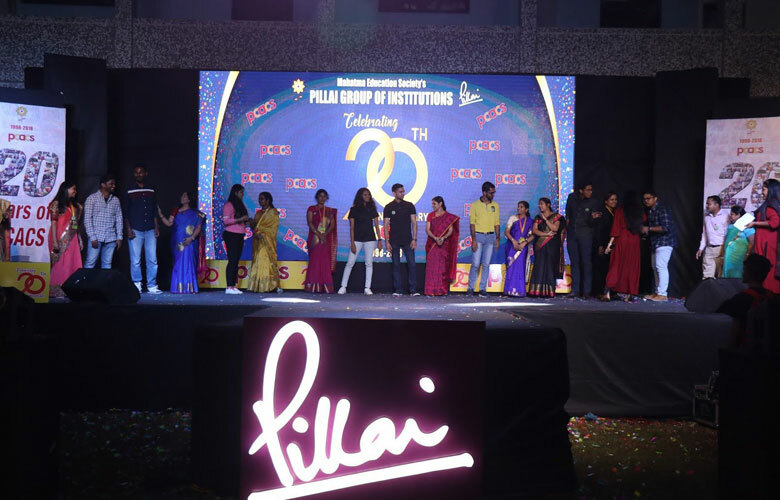 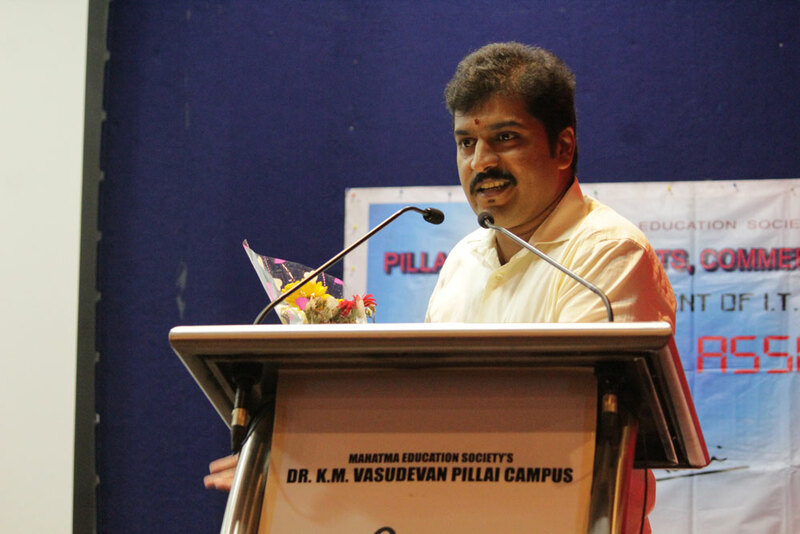 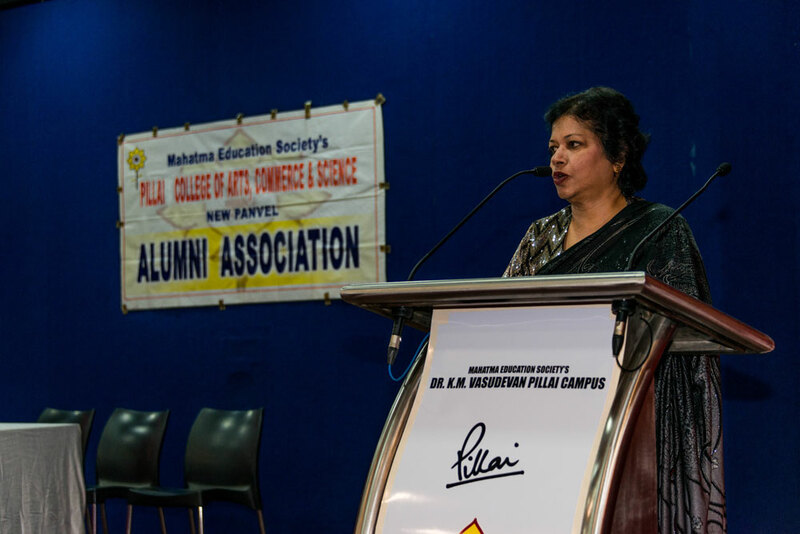 Speaking on the occasion, the Vice Principal underlined and praised the achievements of Alumni of Pillai College of Arts, Commerce and Science in all walks / spheres of life. 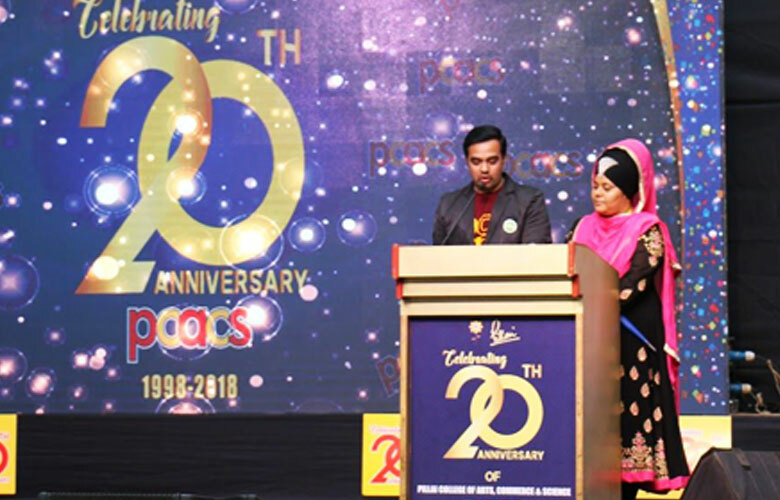 She felt that it was matter of great pride for PCACS that its Alumni are holding positions of responsibility in various organizations, Private sector, Academic Institutions. 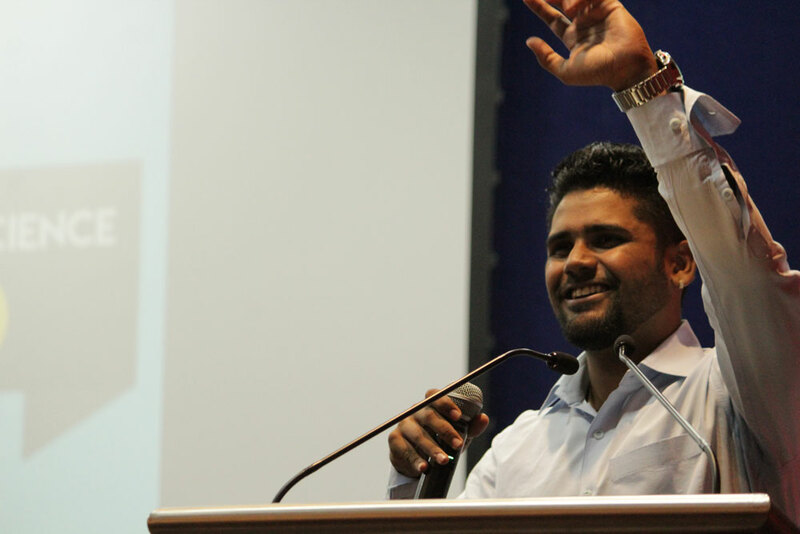 Many of them are successful entrepreneurs providing jobs to others as well. 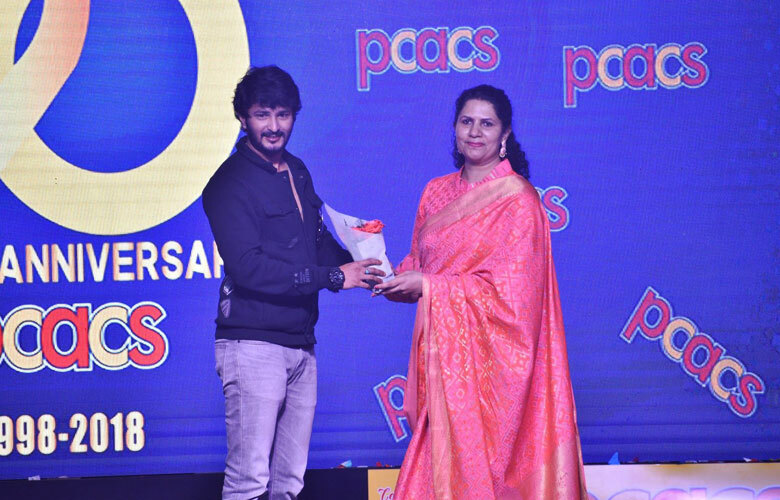 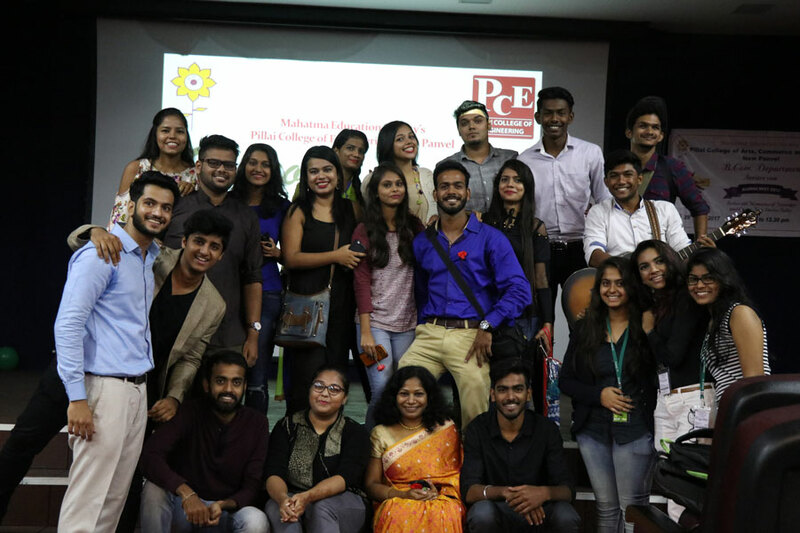 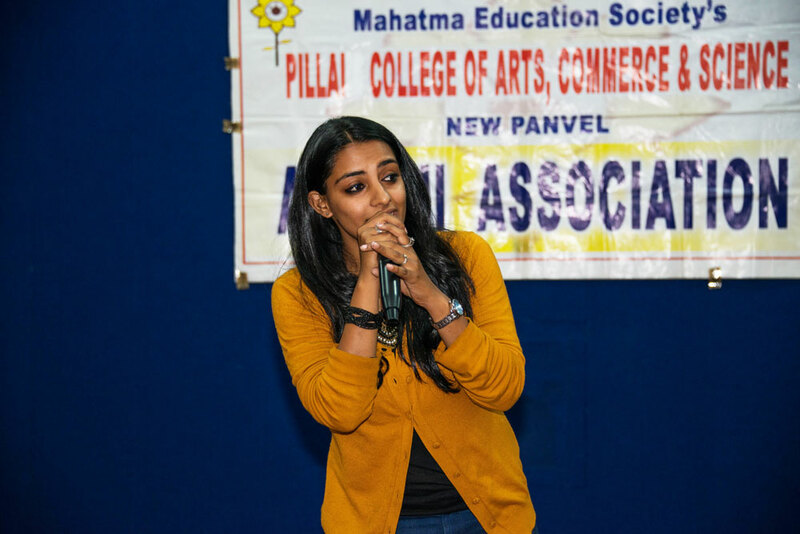 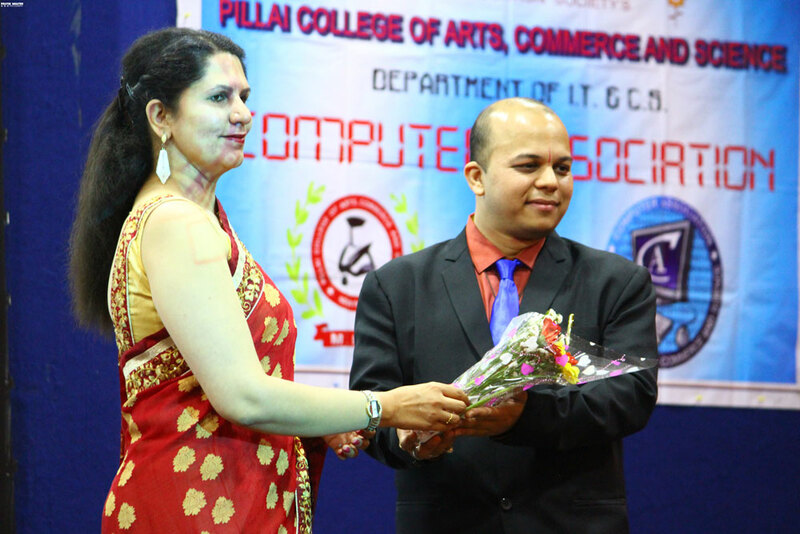 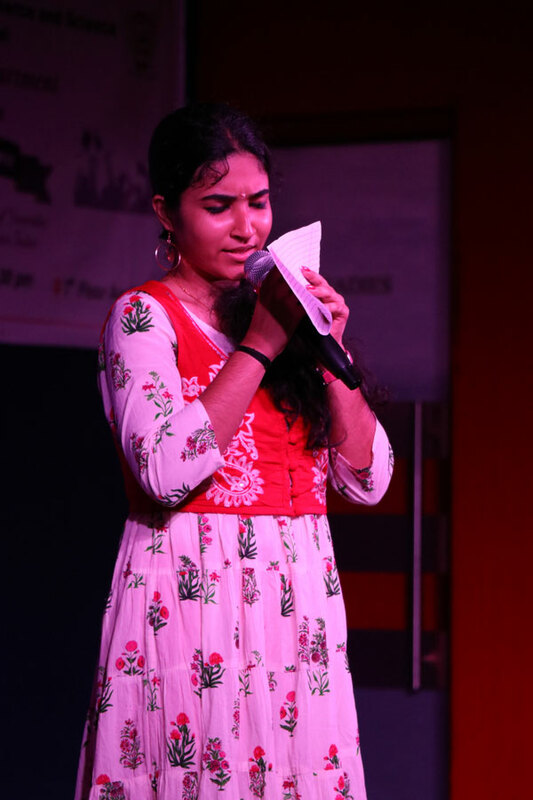 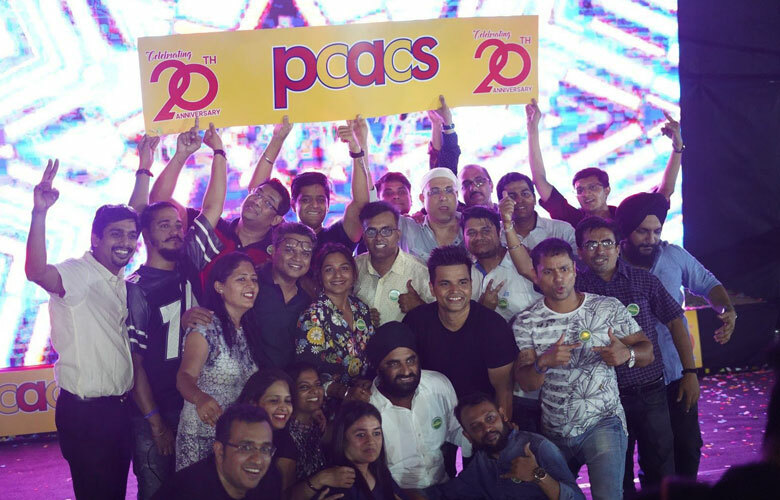 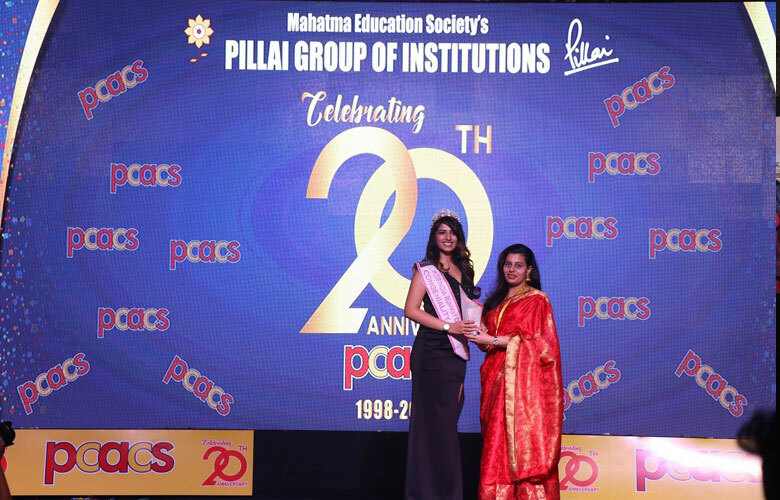 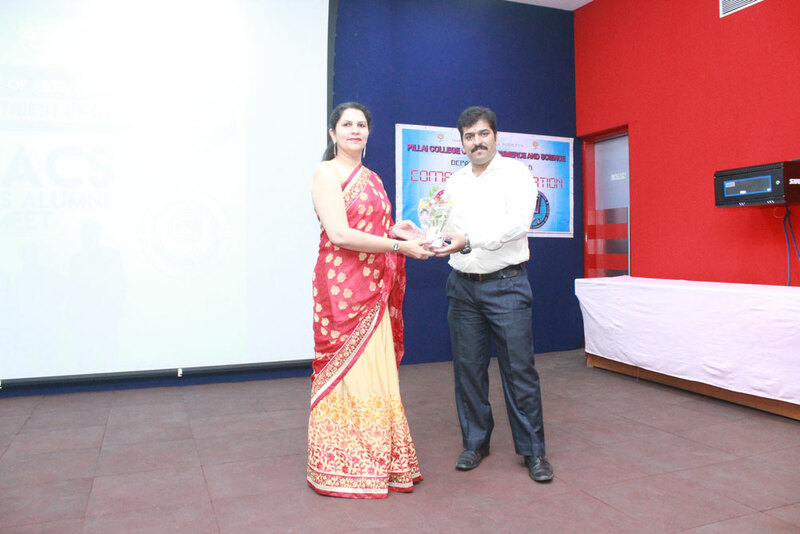 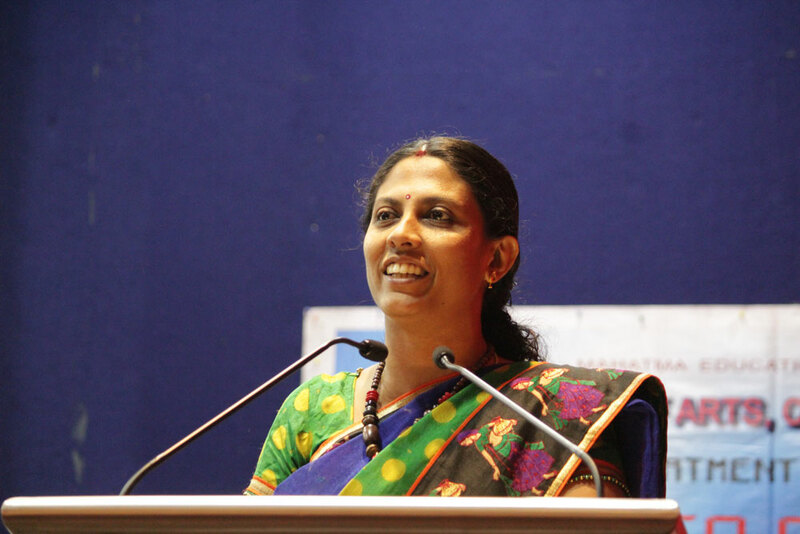 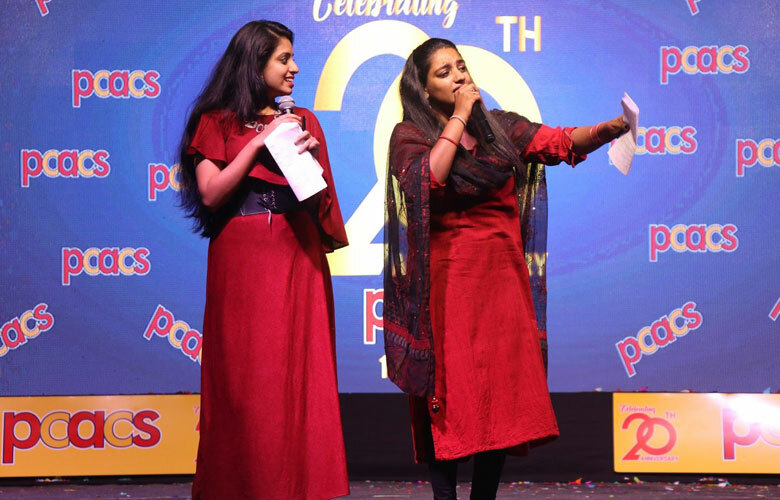 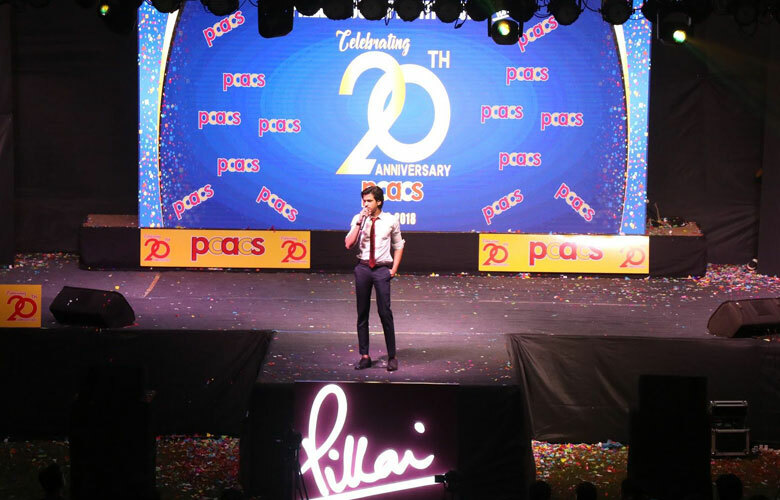 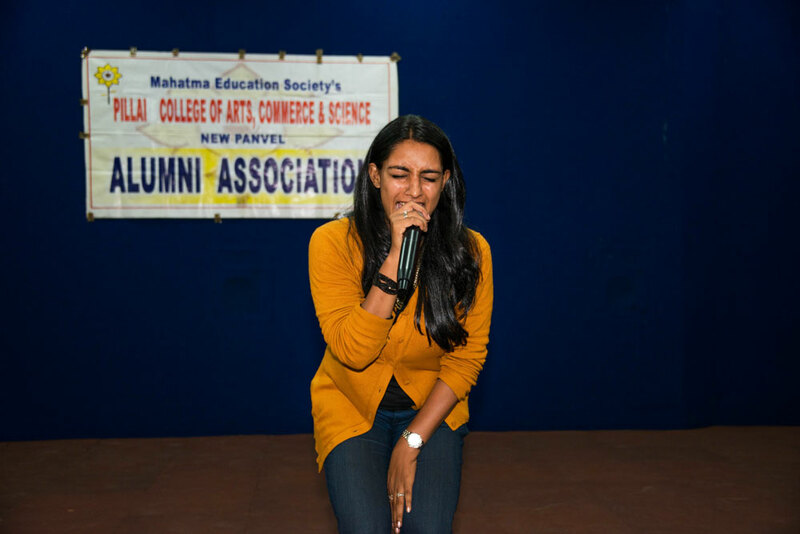 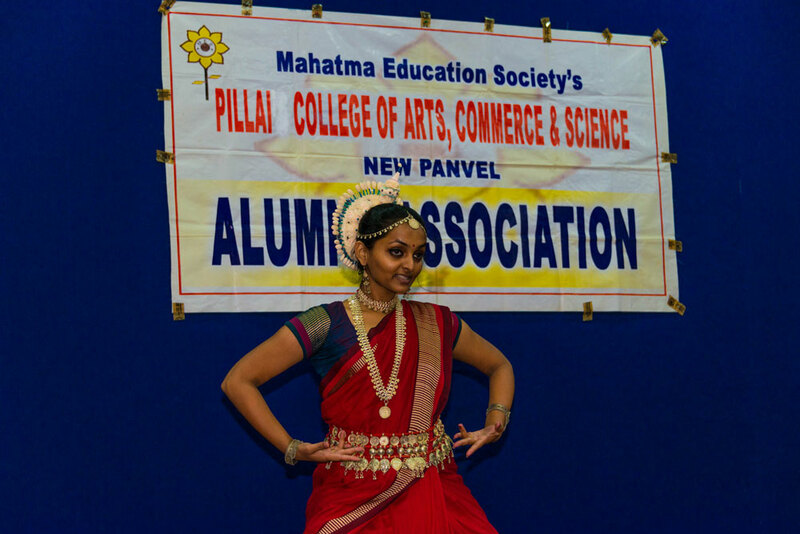 She praised their contribution towards the growth of their Alma Mater and emphasized the need for further strengthening the linkage between the Alumni and PCACS Panvel and current students. 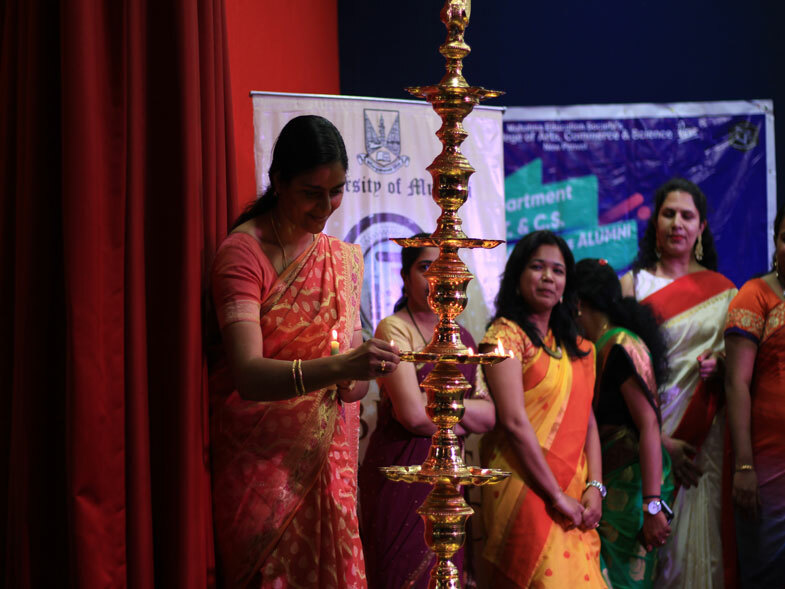 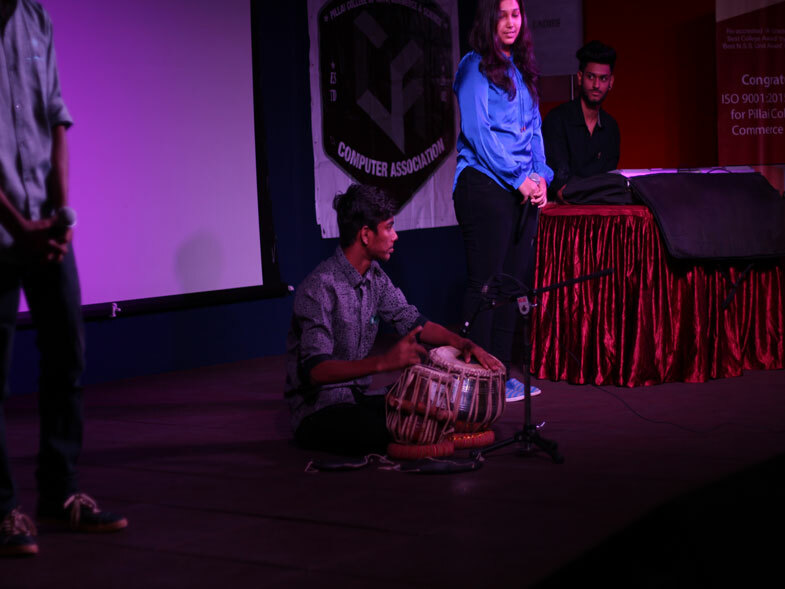 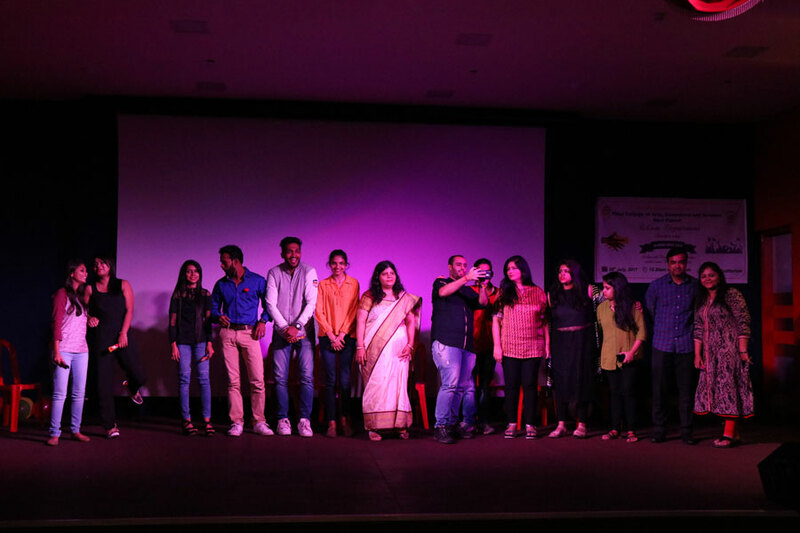 The Inaugural session was followed by cultural programme by our students and alumni and artists of Language and Cultural Dept. 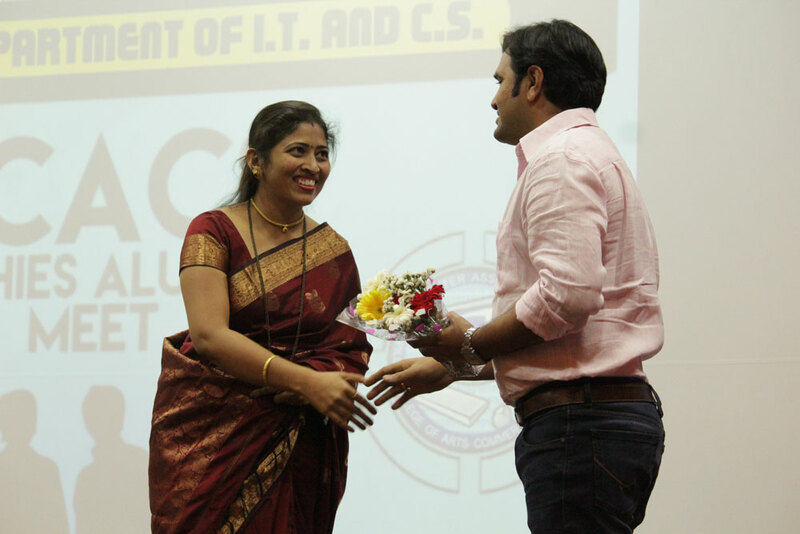 of B.Sc.I.T. 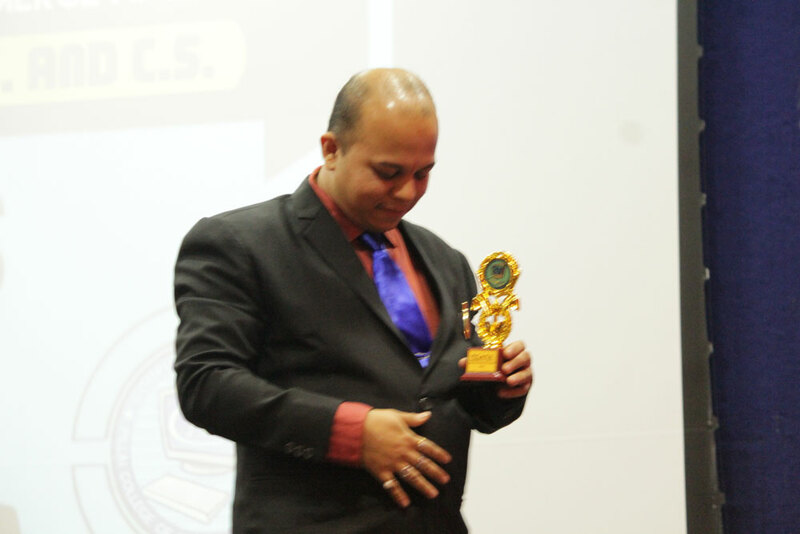 and B.Sc.C.S. 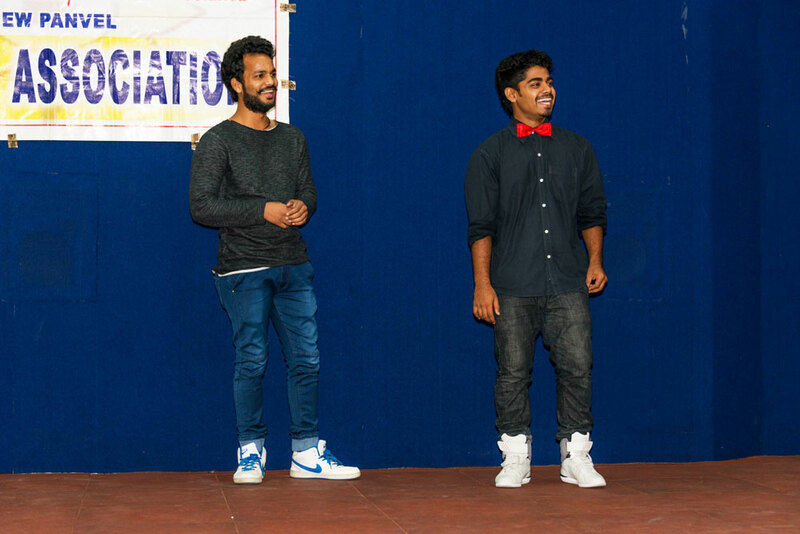 with current dance forms. 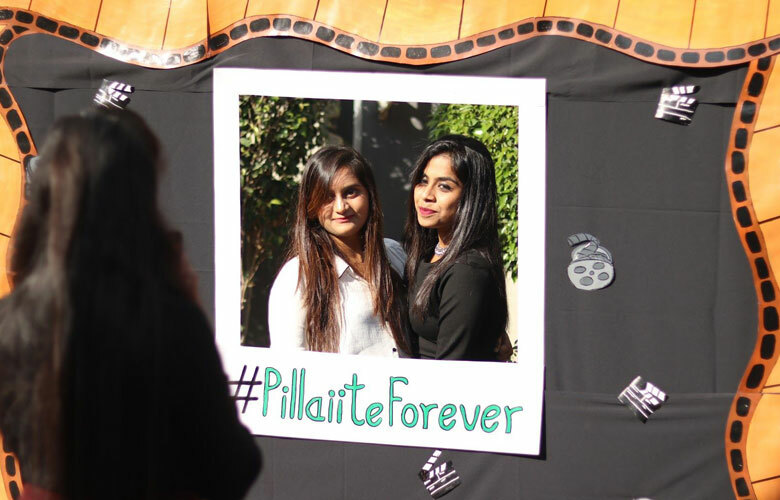 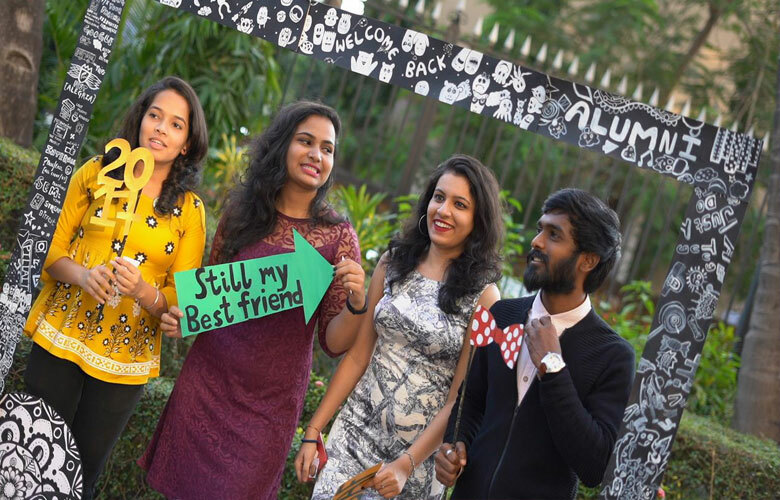 Great bonhomie was observed everywhere with old students reliving their old memories with their batch mates, seniors and juniors. 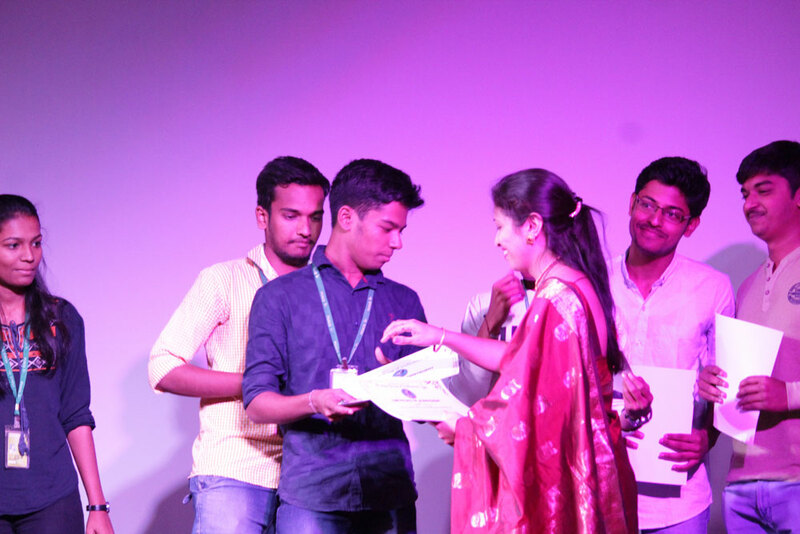 Many of the current students were also seen interacting with their pass out seniors and learning from their experiences. 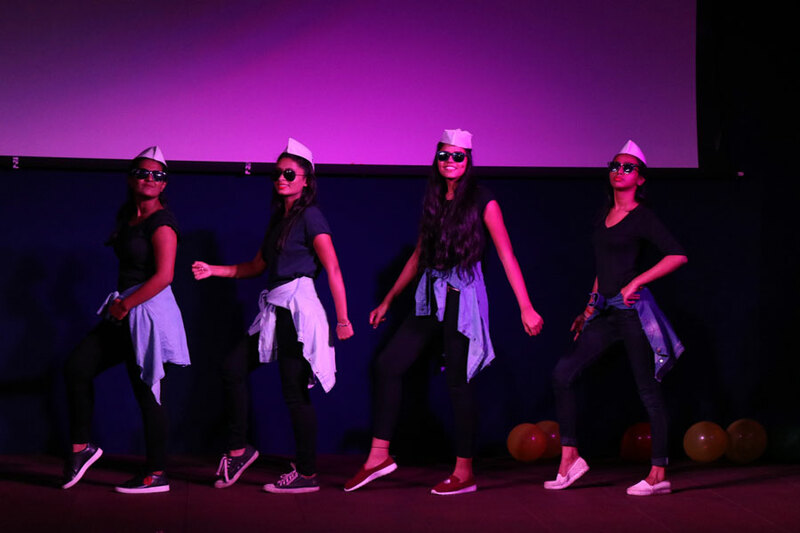 In all, the ambiance was electric with people seen chatting and dancing in groups. 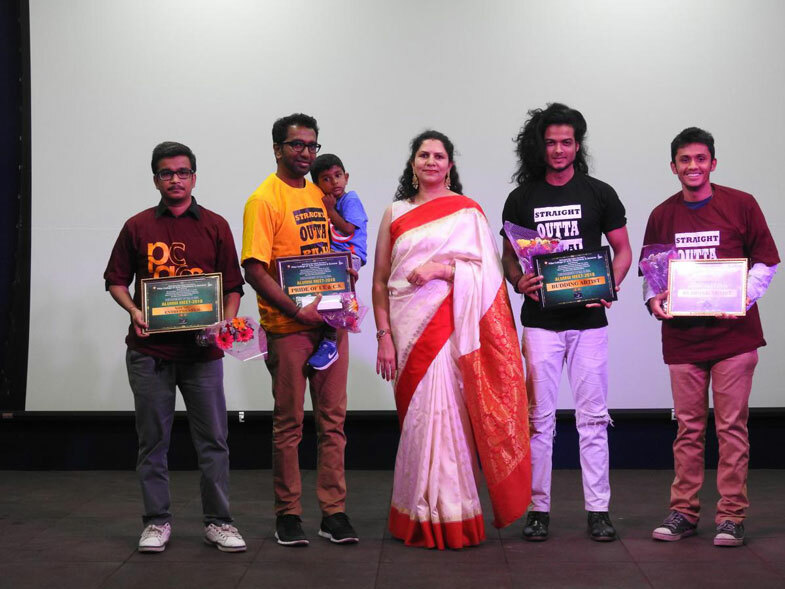 The key highlight of the day was the Department felicitated 4 of its alumni, Mr. Mochesh Chandran with “Pride of PCACS Award 2018”, Mr. Anmol Shrivastav with “Young Entrepreneur Award 2018”, Mr. Vikhit Jain and Mr. Pankaj Kumar with “Budding Artist 2018” for their outstanding achievements in their field of work. 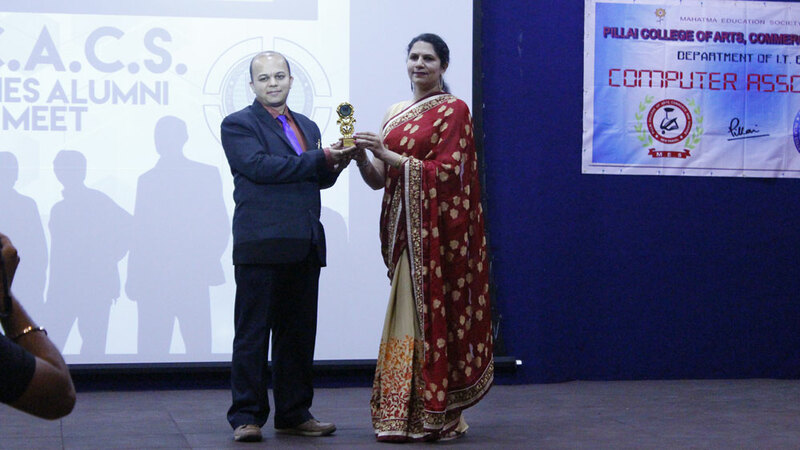 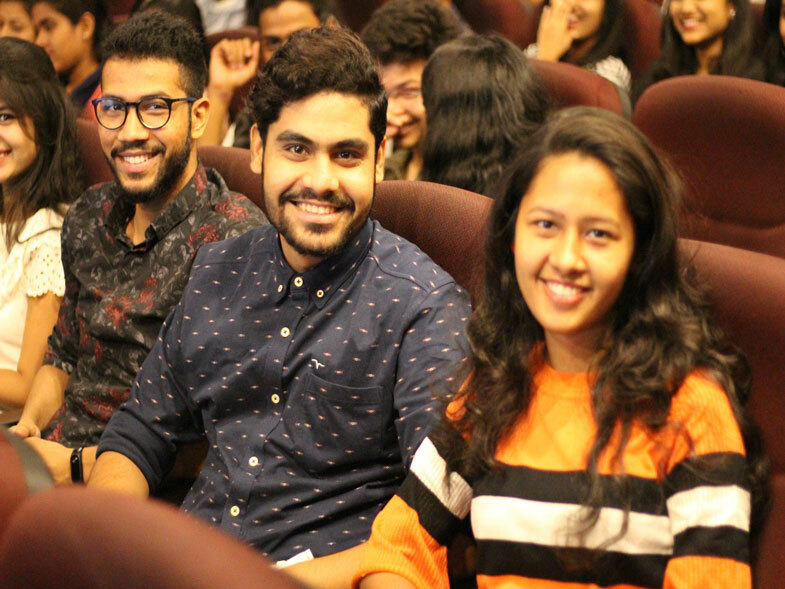 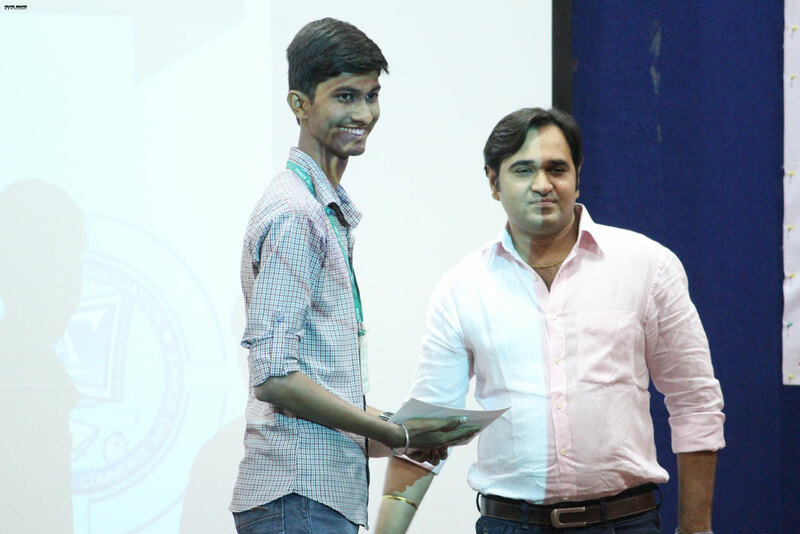 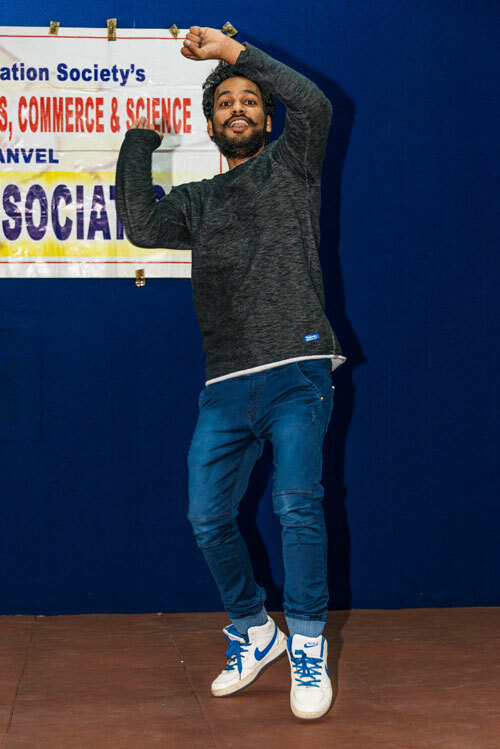 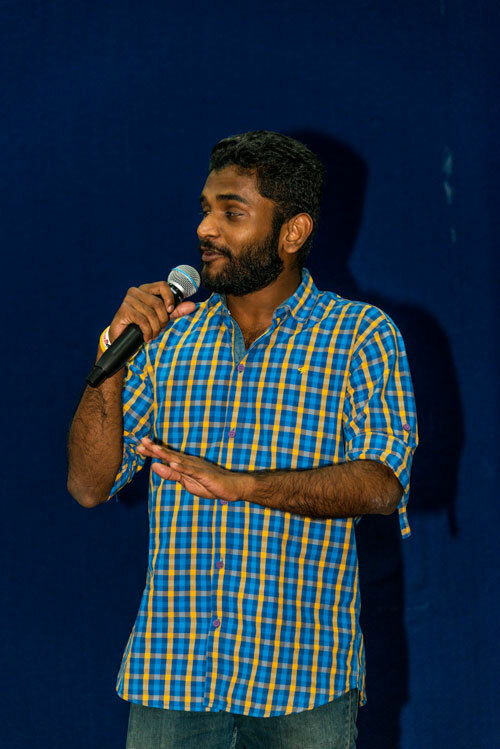 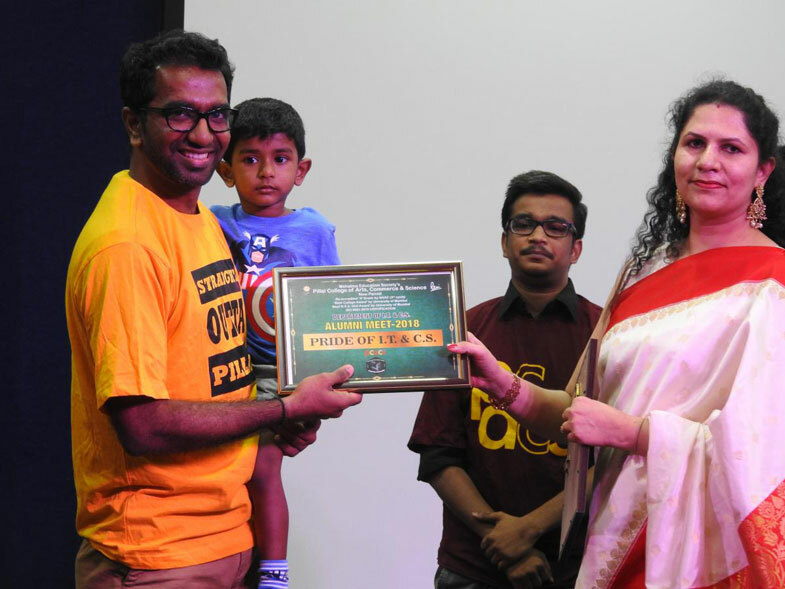 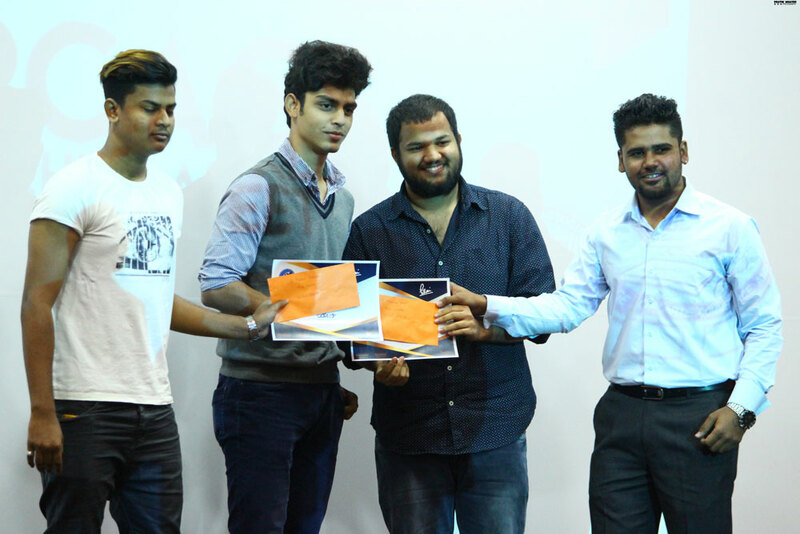 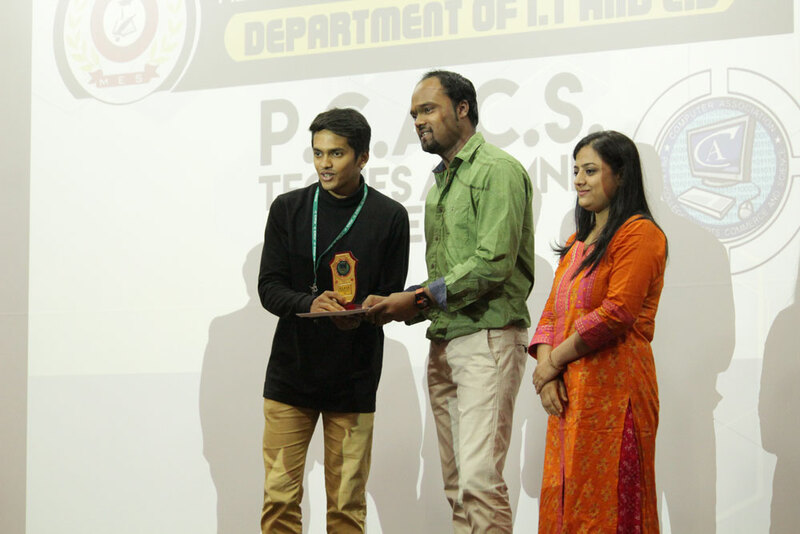 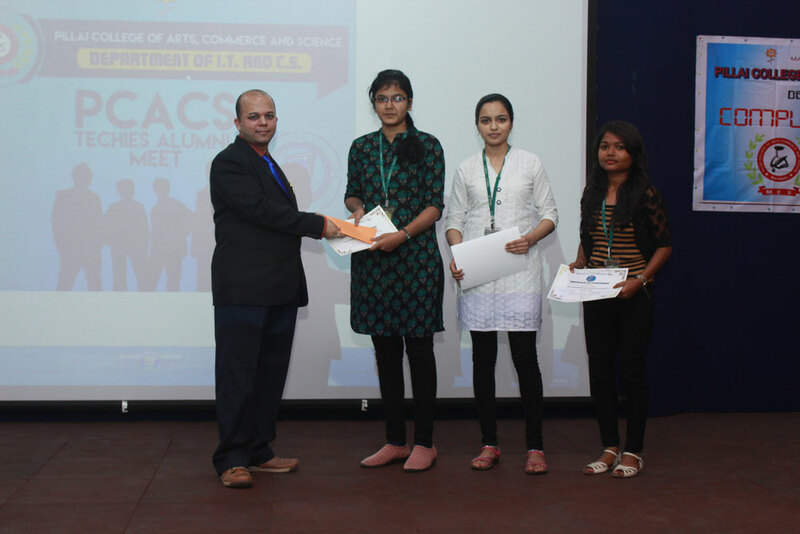 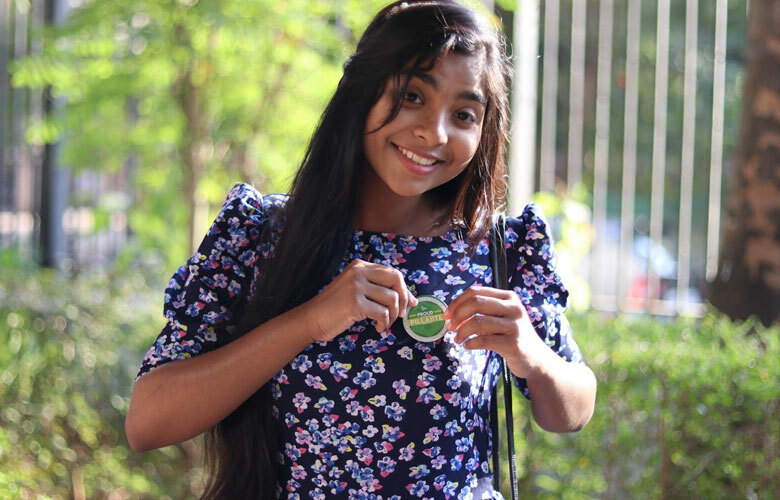 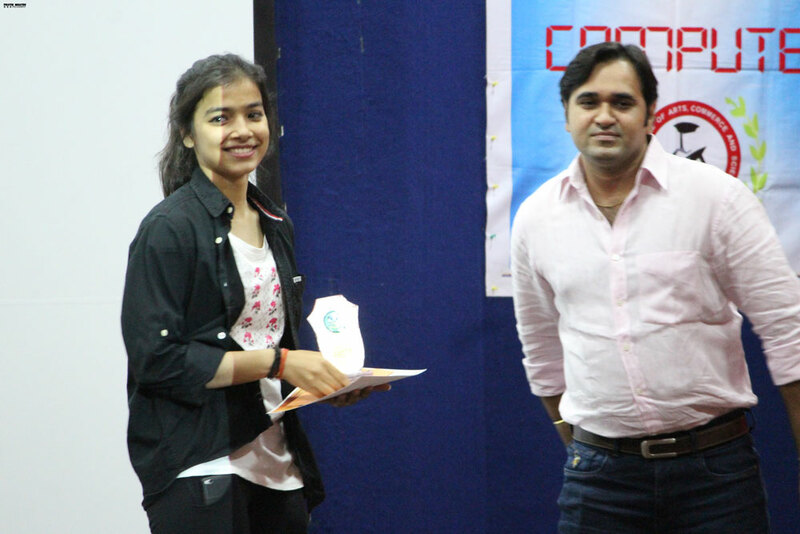 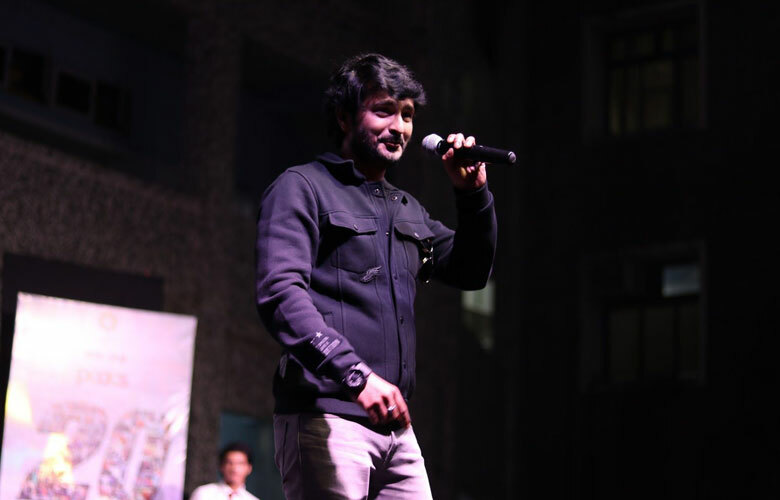 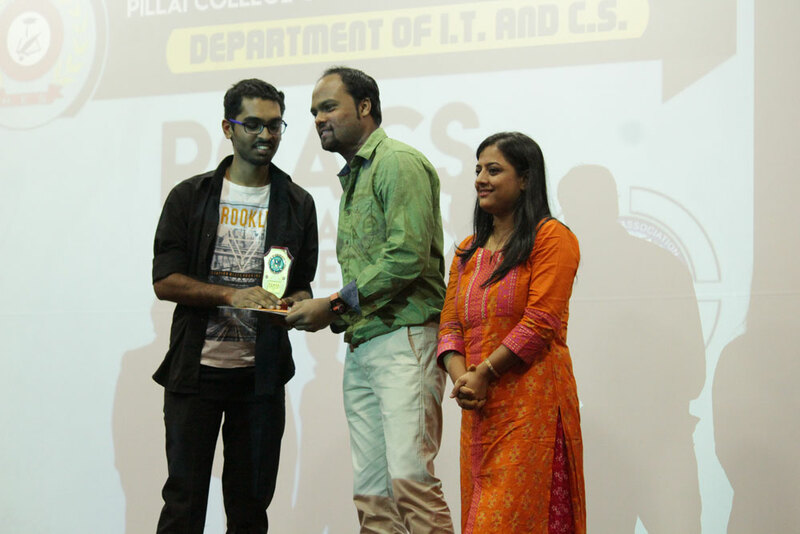 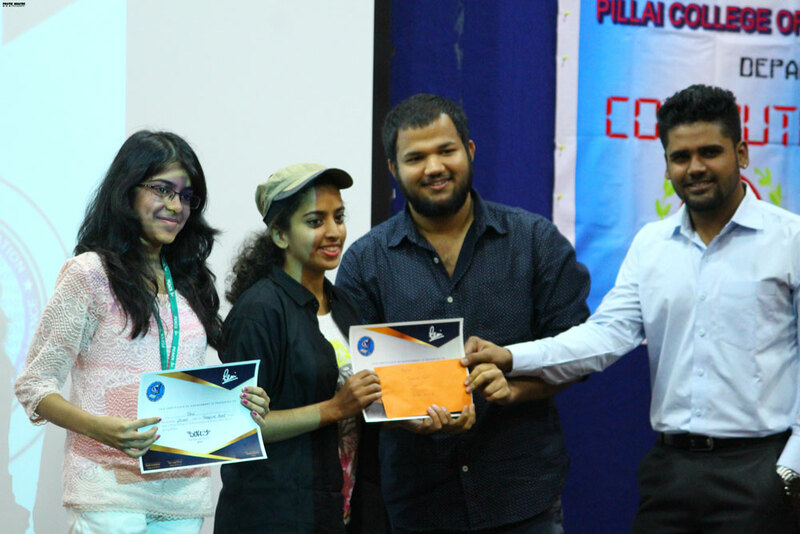 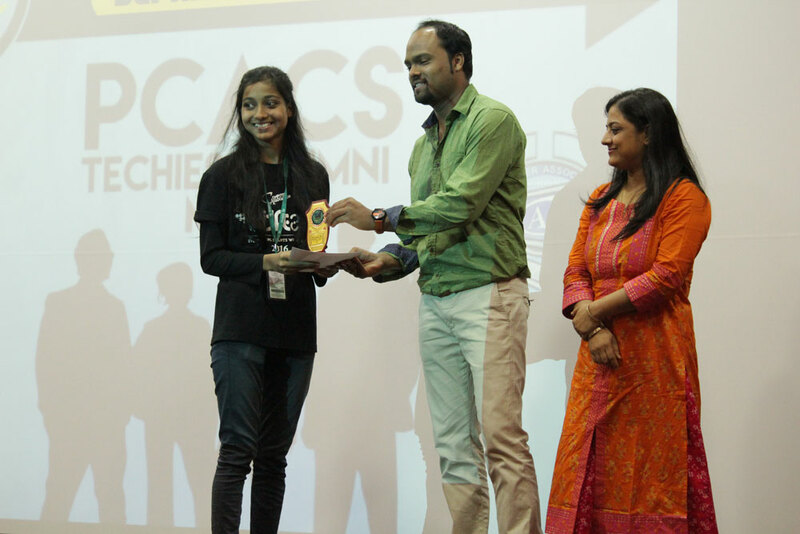 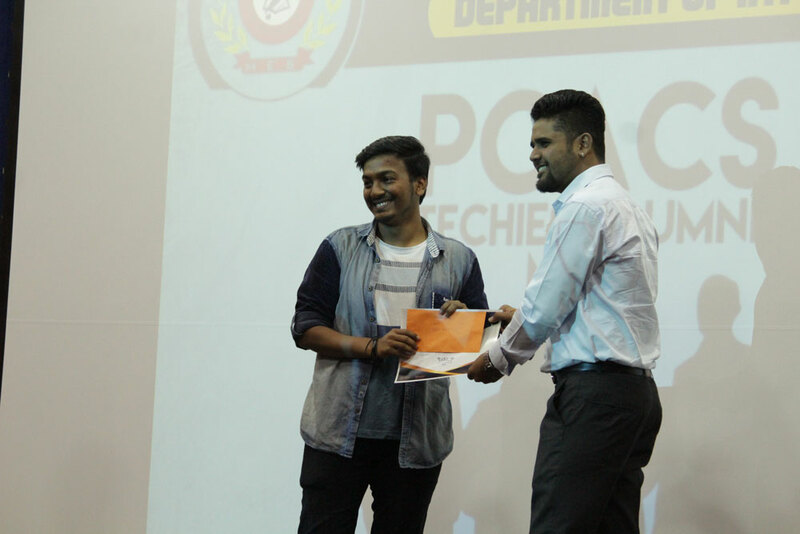 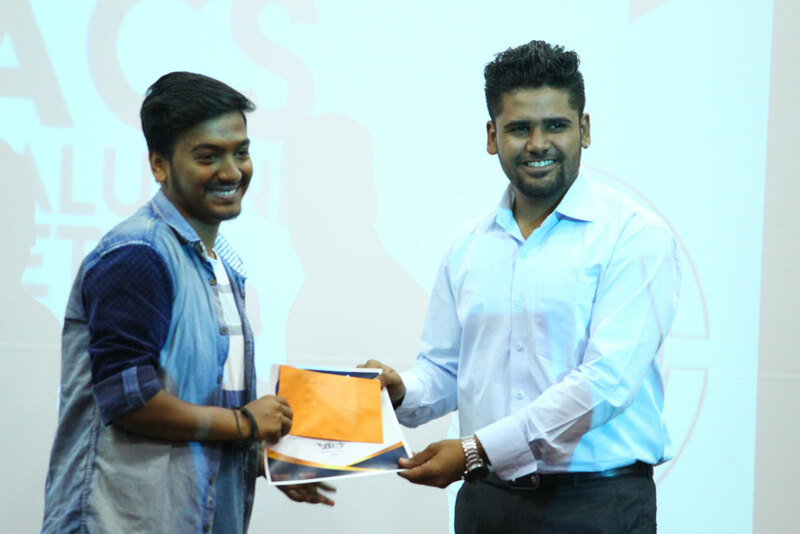 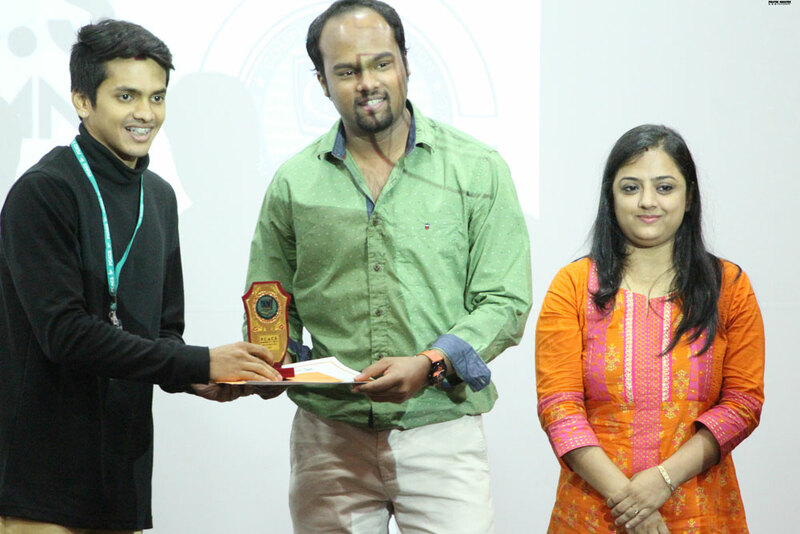 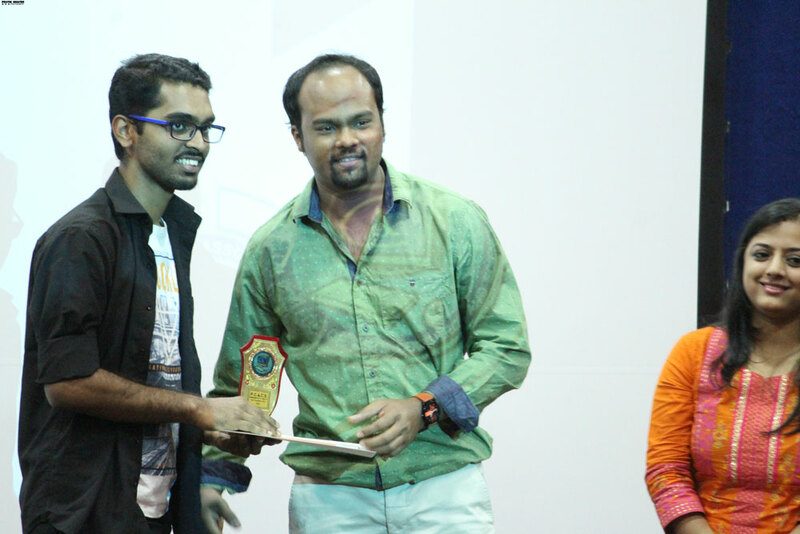 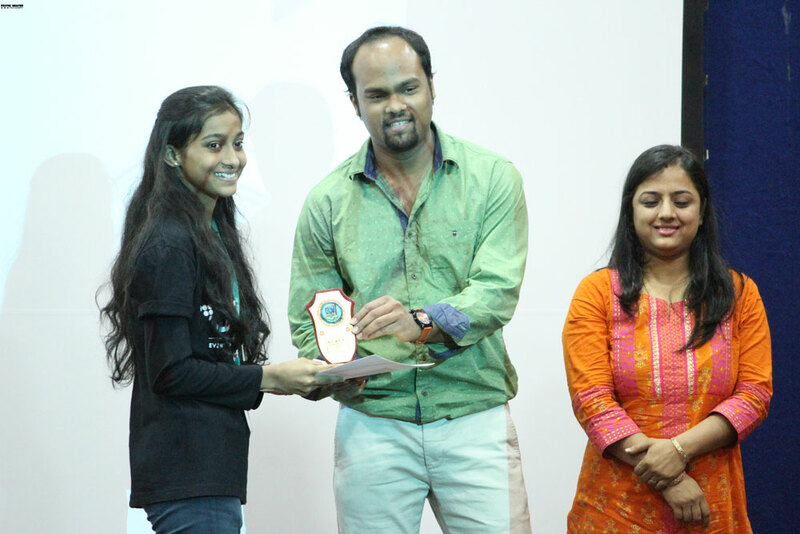 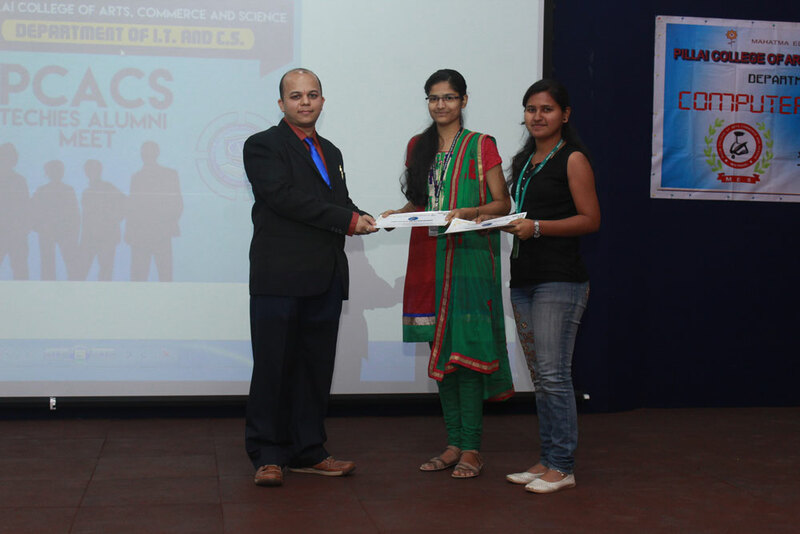 The event also included the prize distribution ceremony of various Computer Association events, BITFEST events and Best Student of the Department. 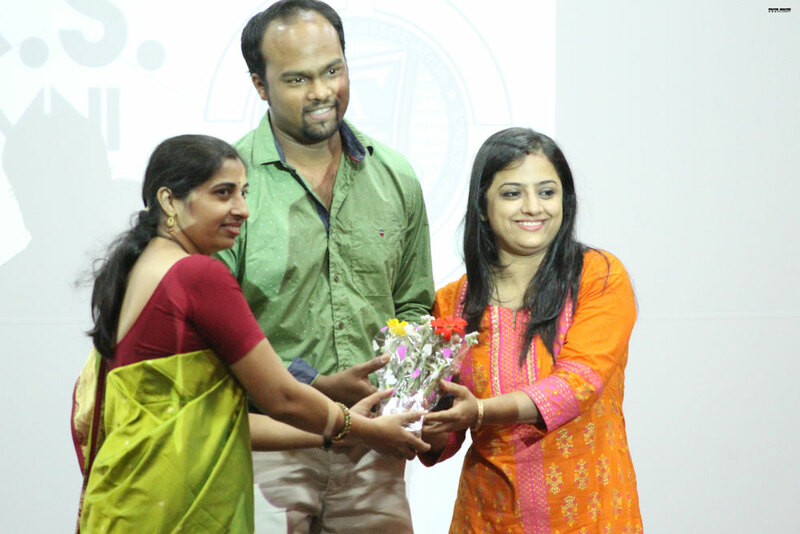 Winners of the events were felicitated by alumni. 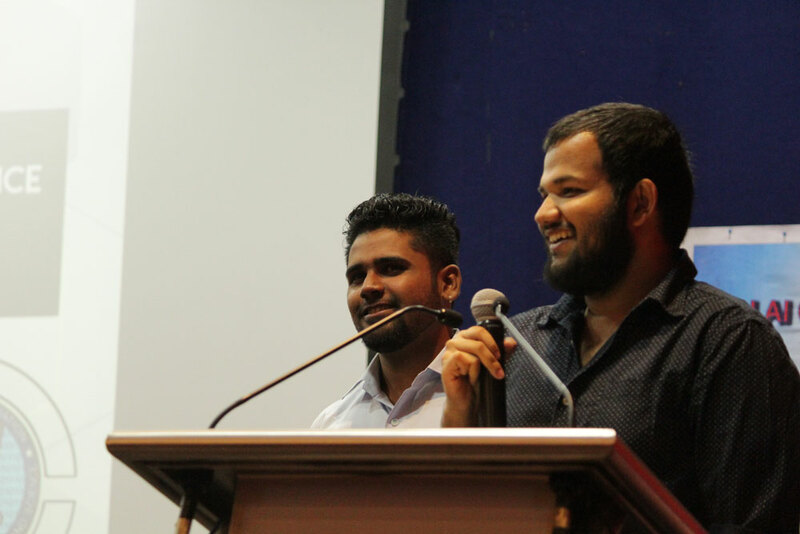 The annual general house witnessed active involvement of the alumnus and a number of commendable suggestions and proposals came up, some of which were approved and the left were set aside for later action. 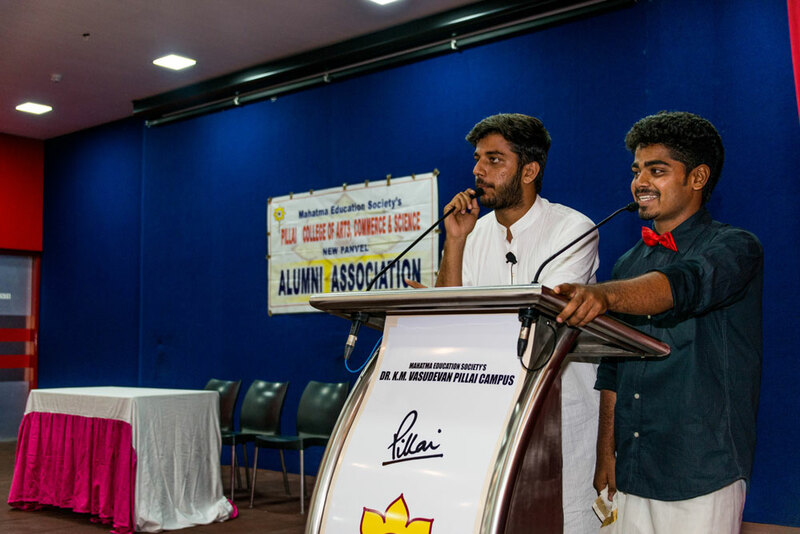 It was decided to strengthen the link between the current Pillai students and alumni for their support to current students in the area of training, placement, career counseling and any other help. 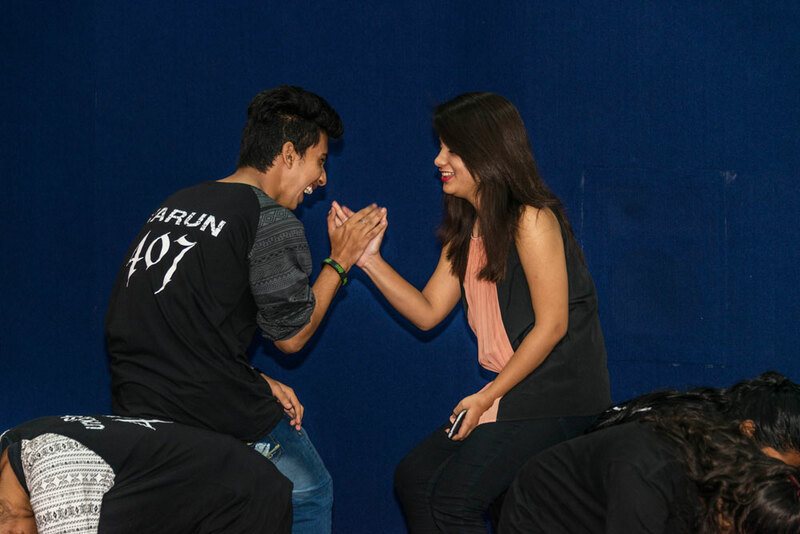 The Meet ended with promise to meet again and everyone bid emotional farewell to each other. 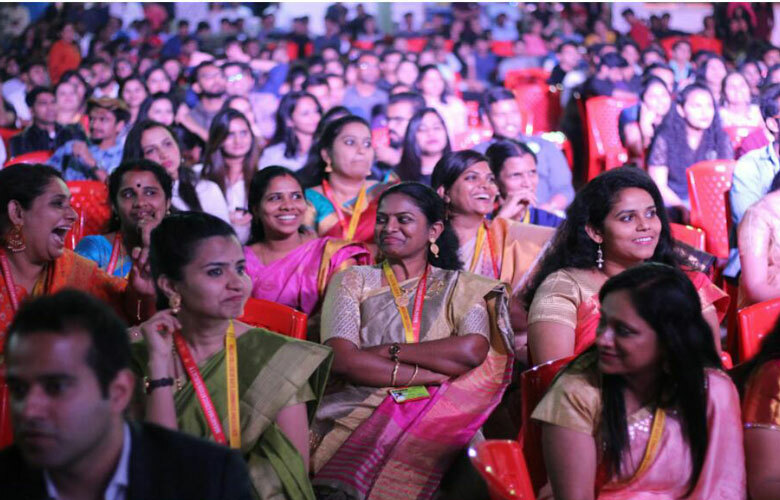 Department of B.Com. 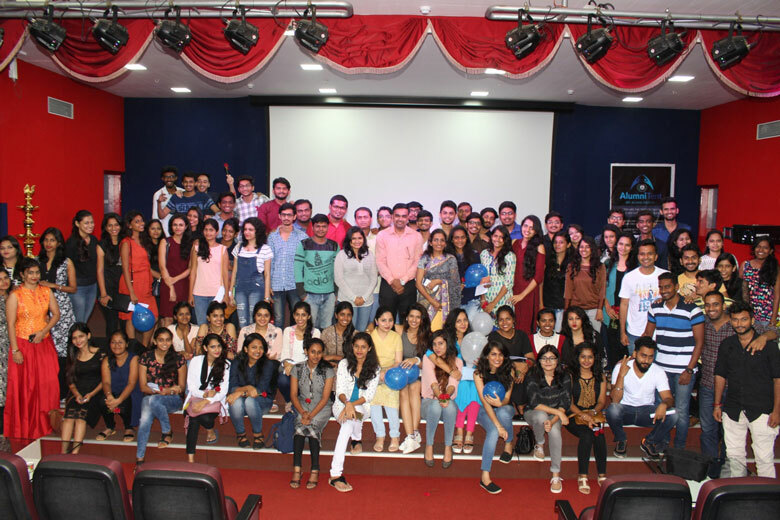 Accounting & Finance organized Alumni Meet on 19th August, 2017. 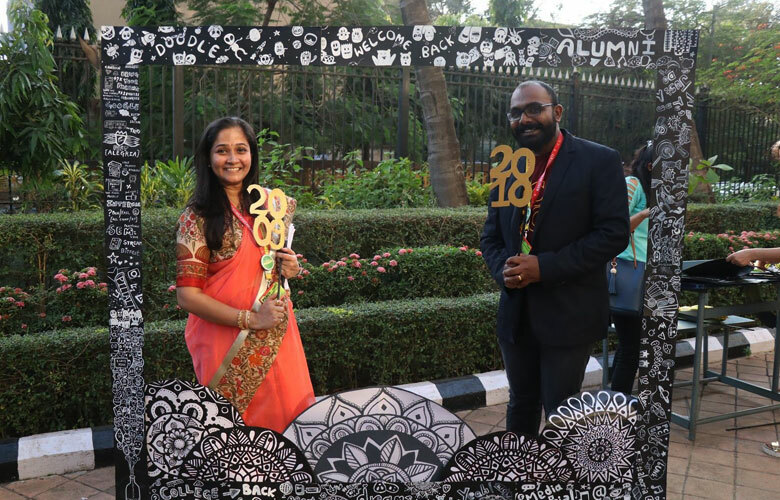 145 Alumni from different batches of 2009 to 2016 attended and made it successful with their presence. 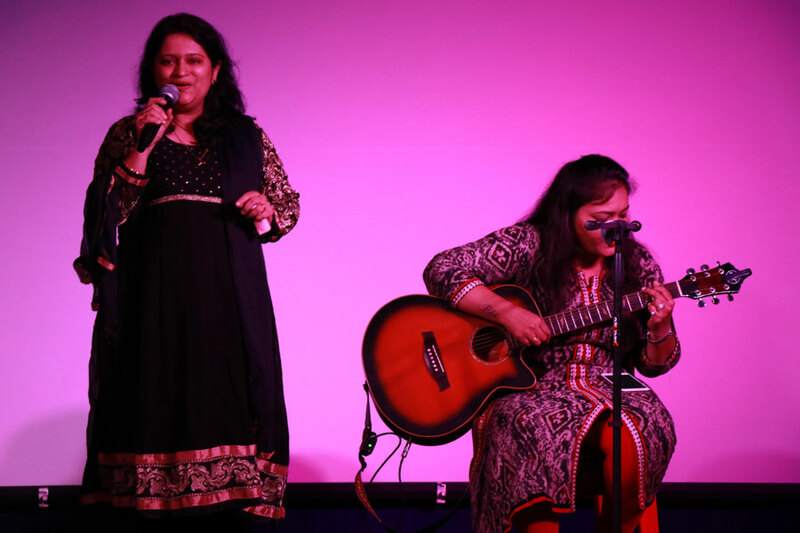 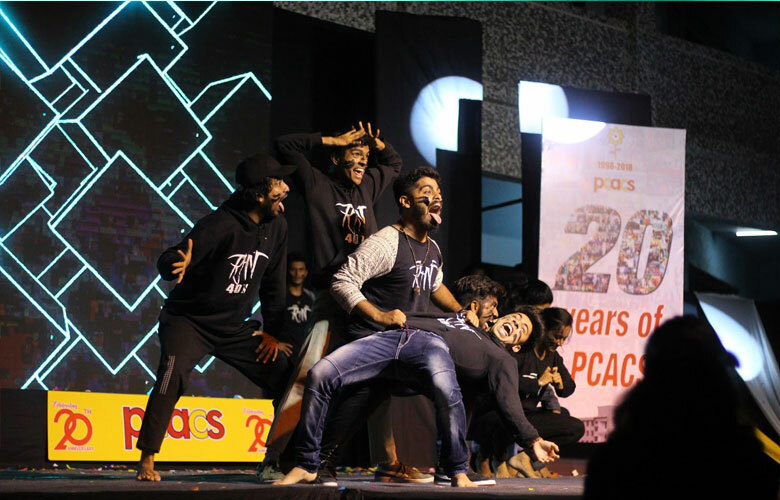 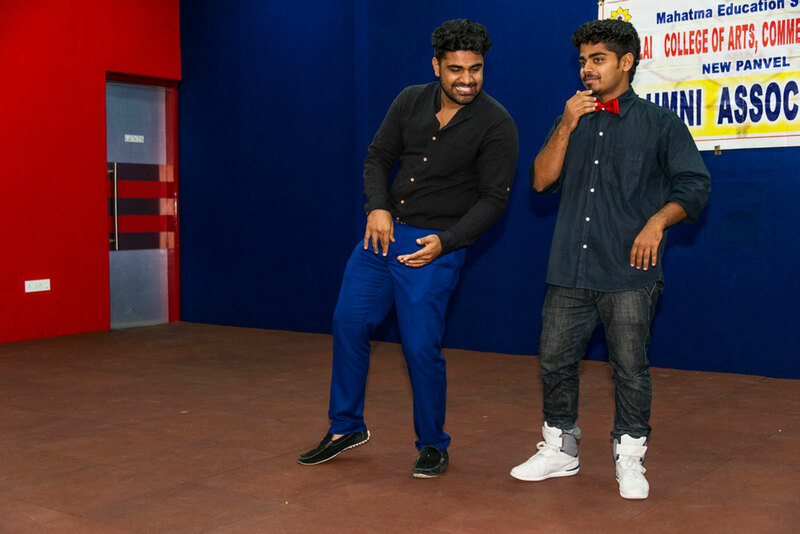 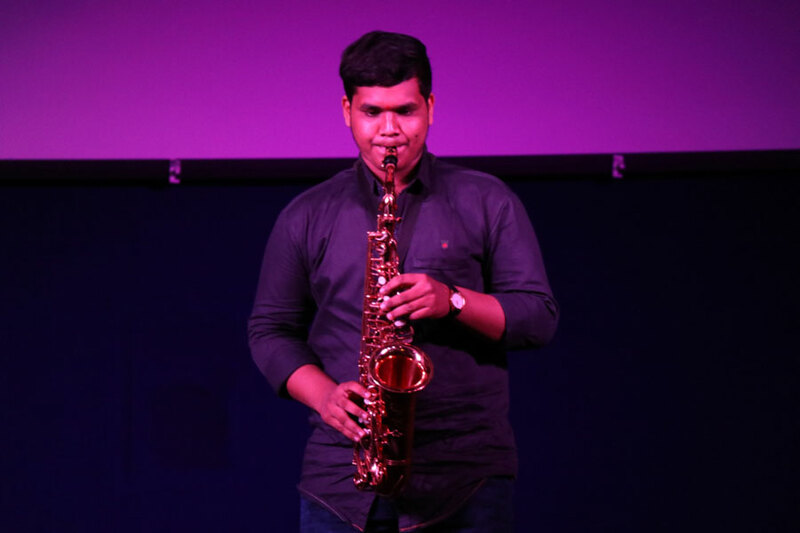 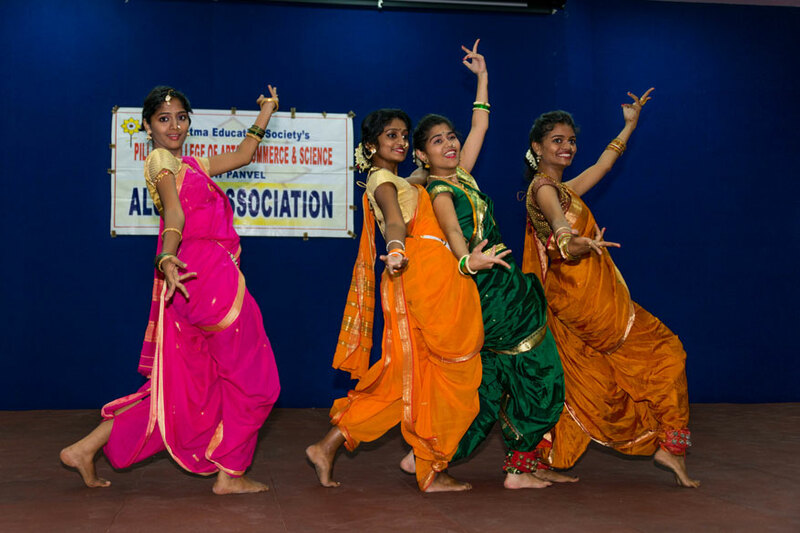 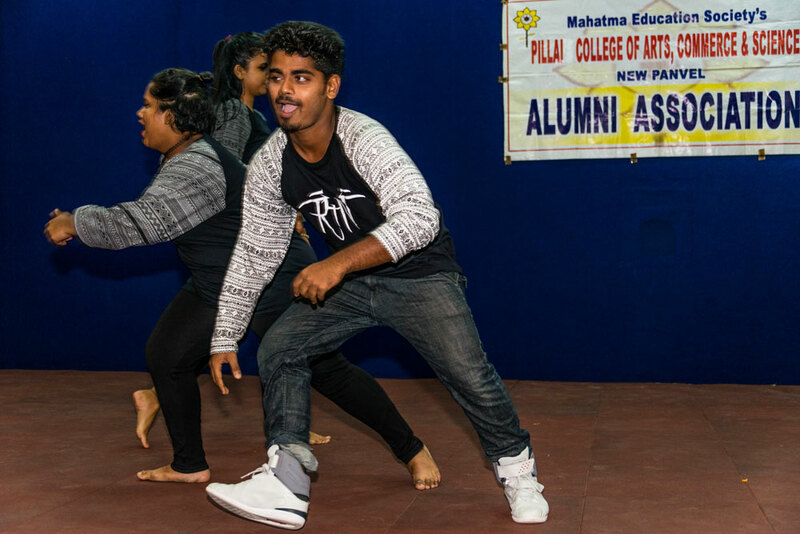 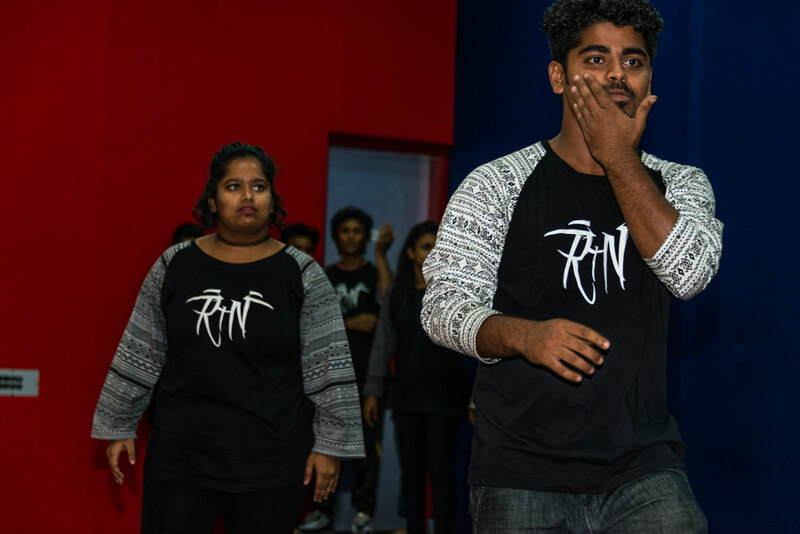 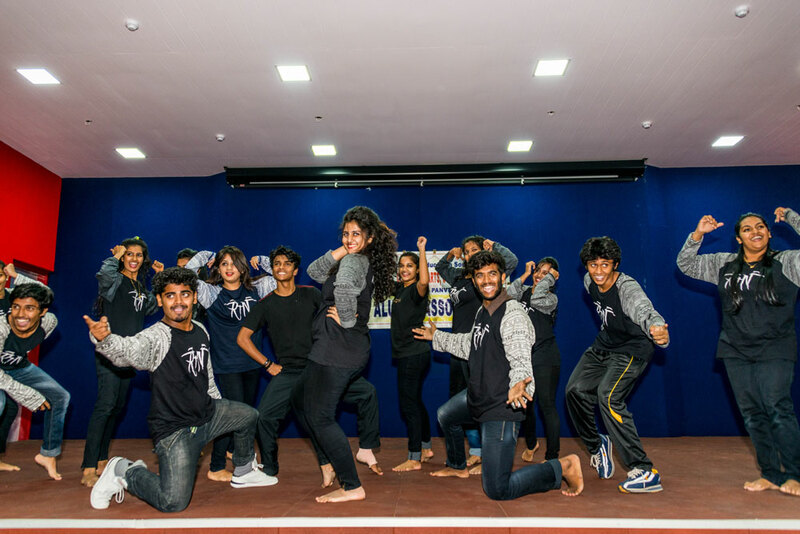 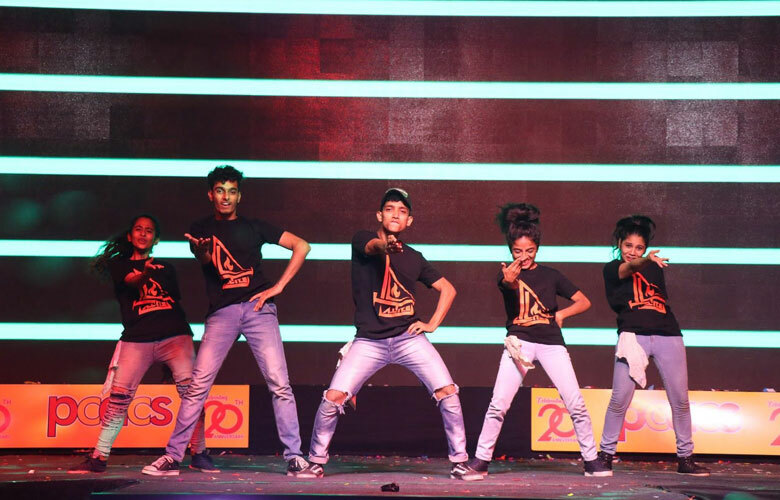 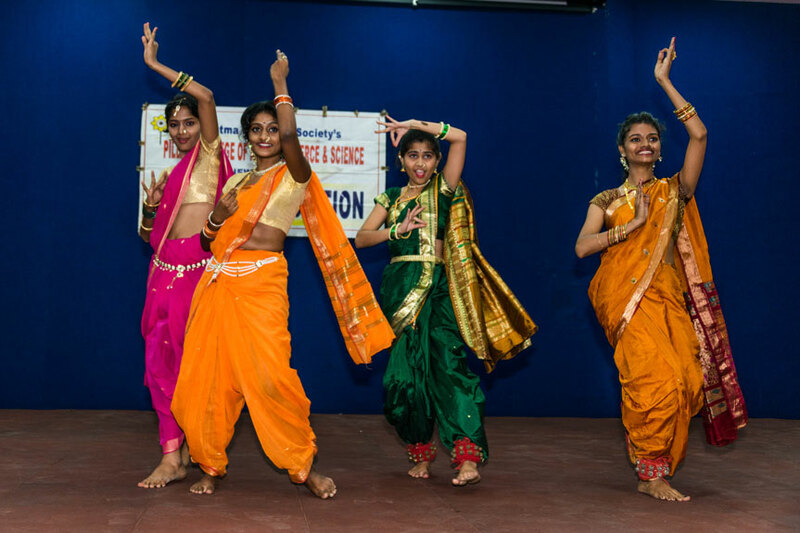 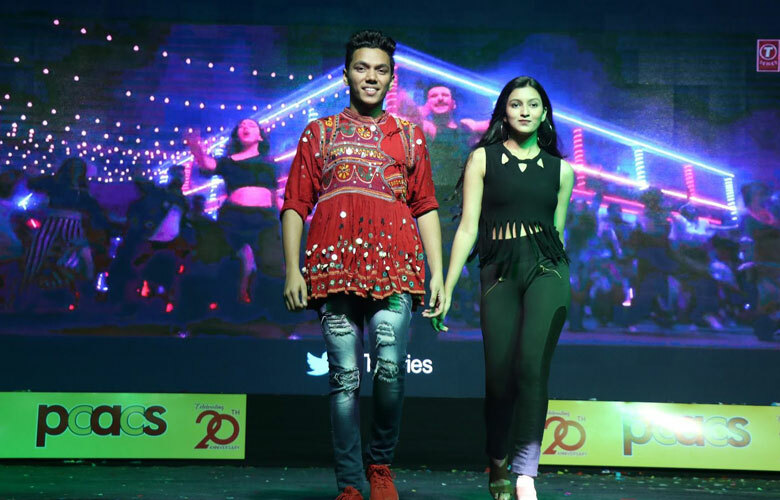 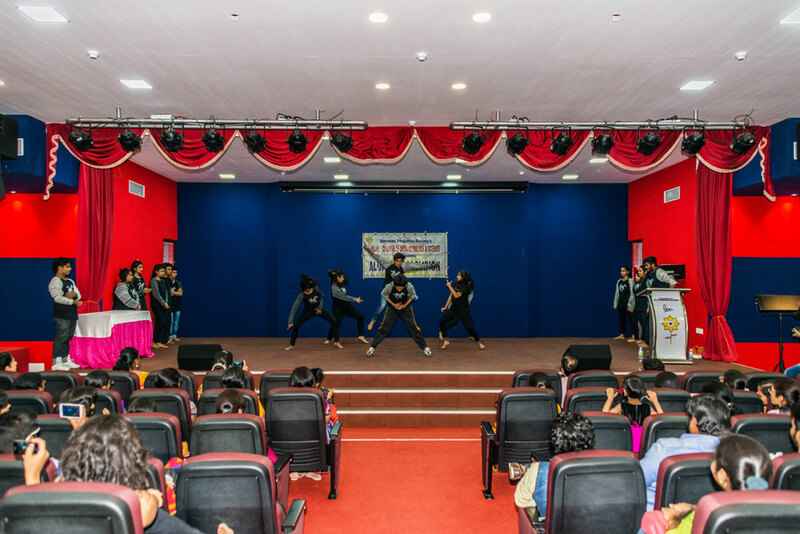 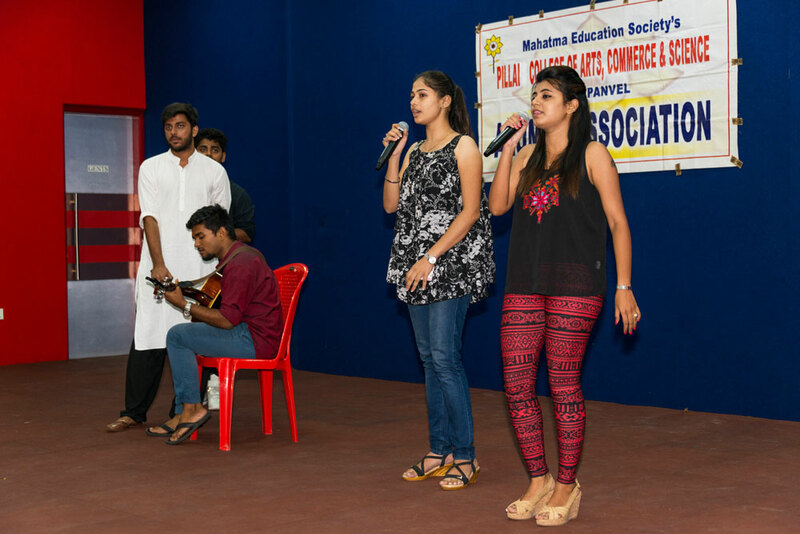 Department teachers and students planned various entertainment events such as group dance, singing, games and interaction sessions for alumni. 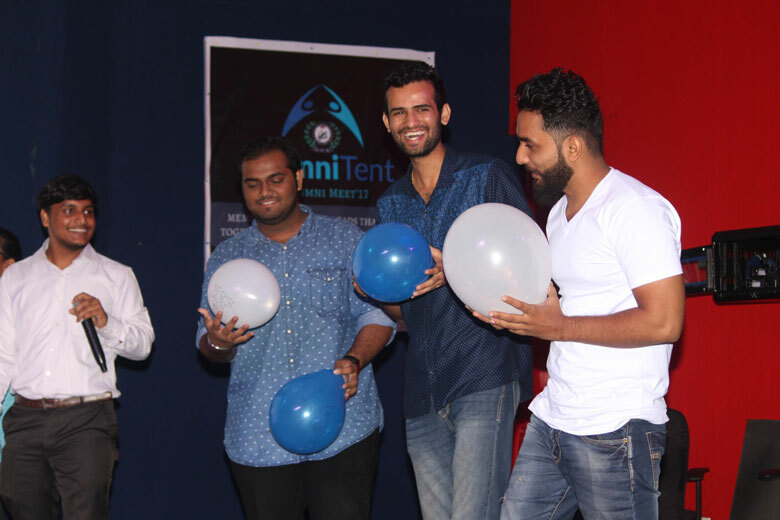 On 29th July, 2017 B.Com. 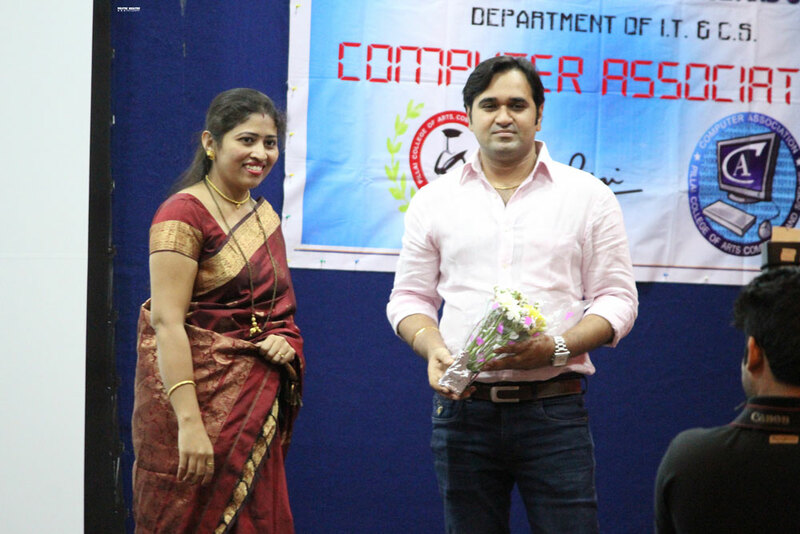 department conducted it’s Alumni meet. 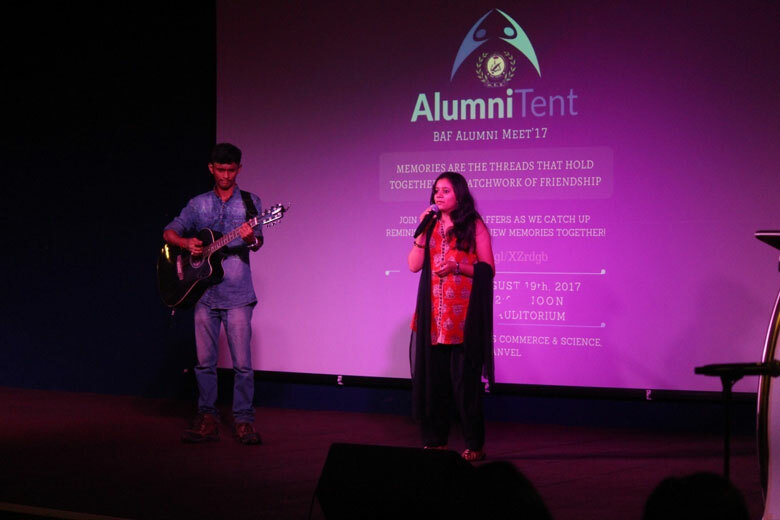 Approximately 140 Alumni participated for the same. 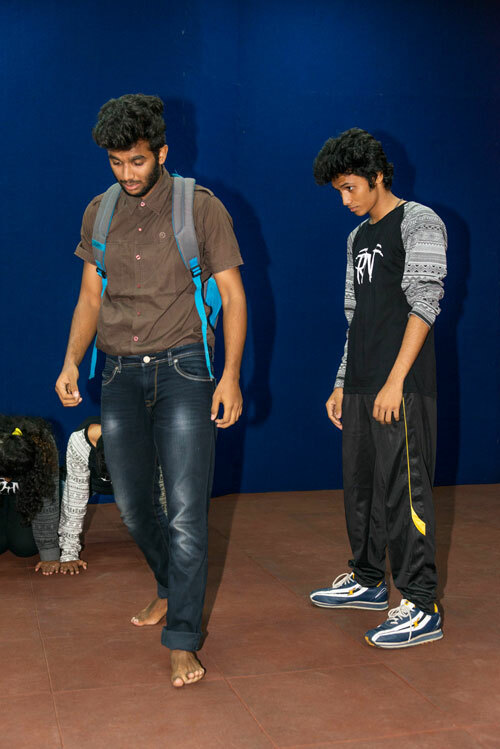 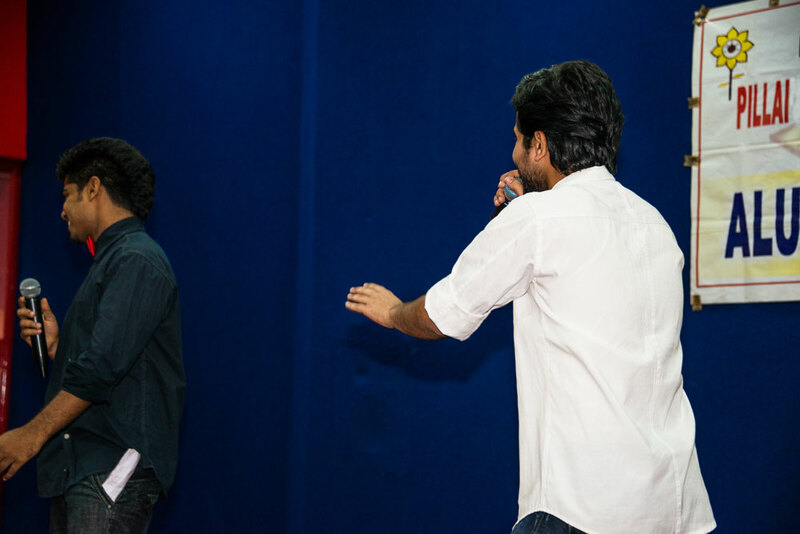 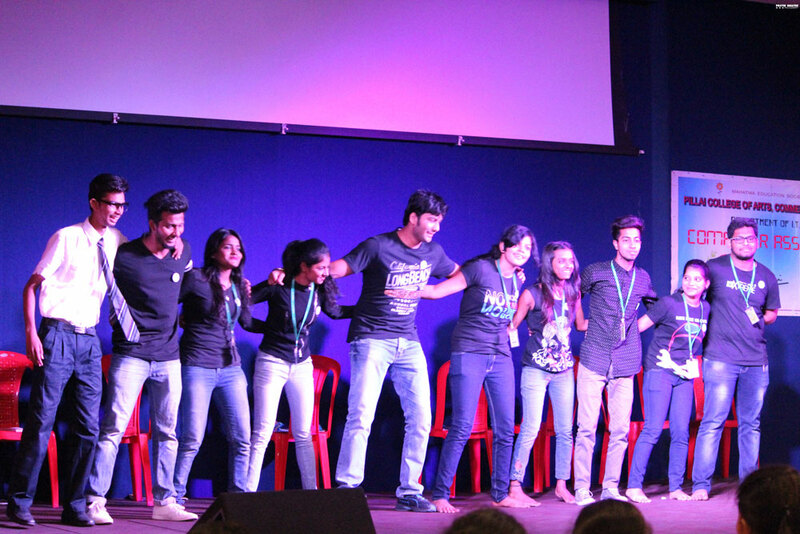 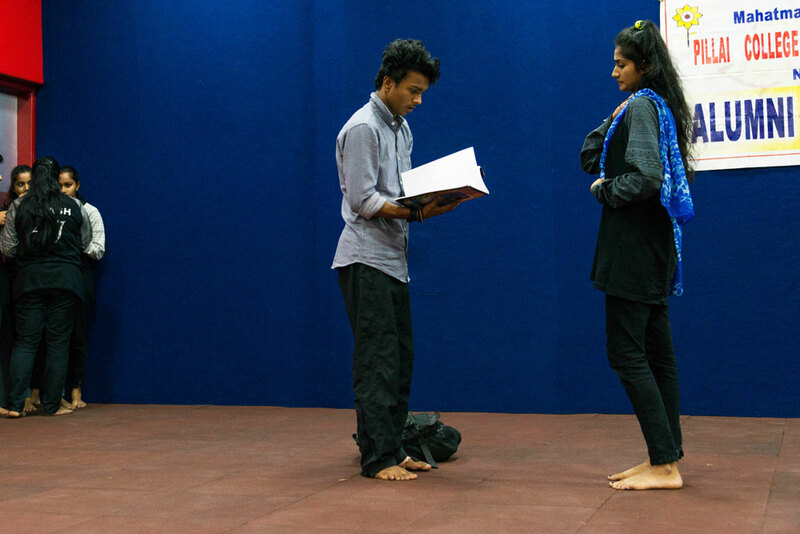 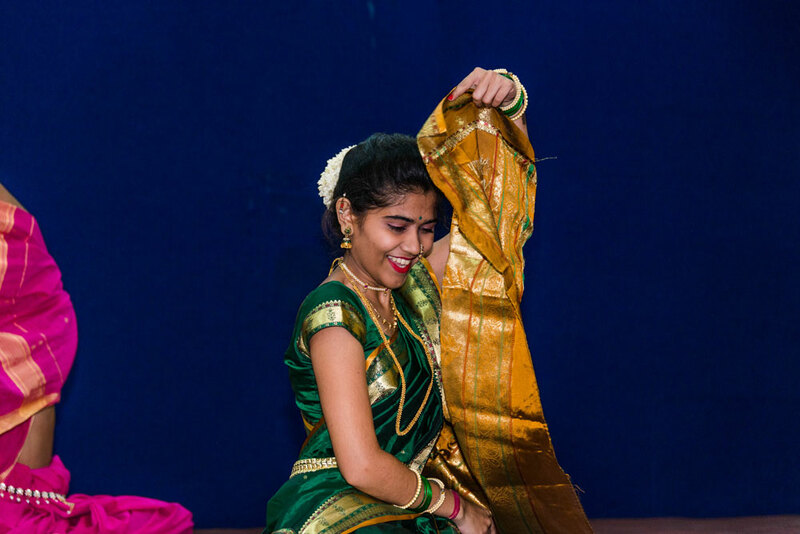 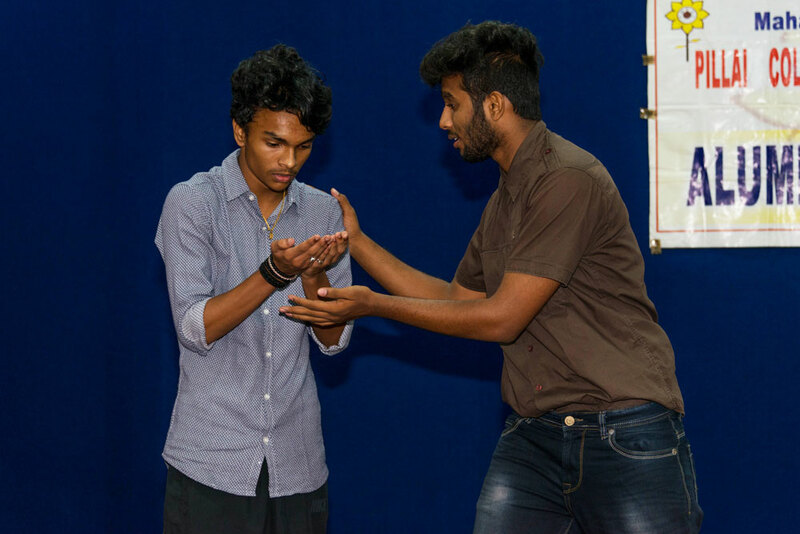 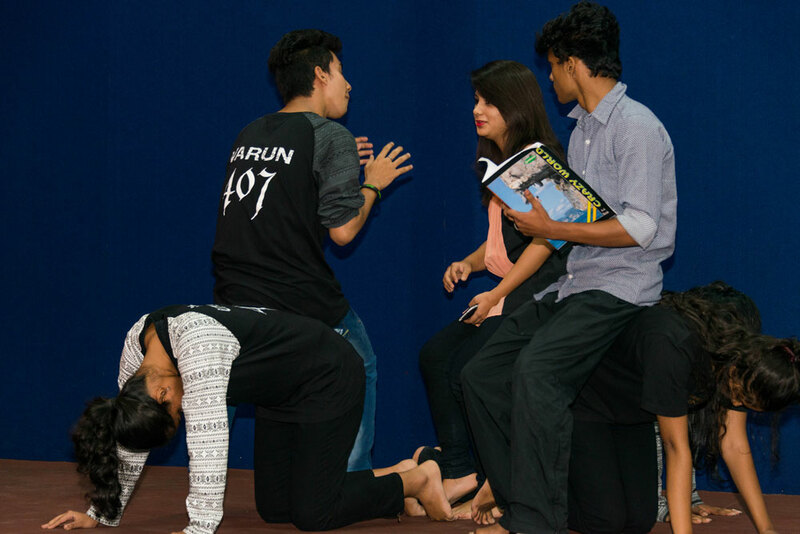 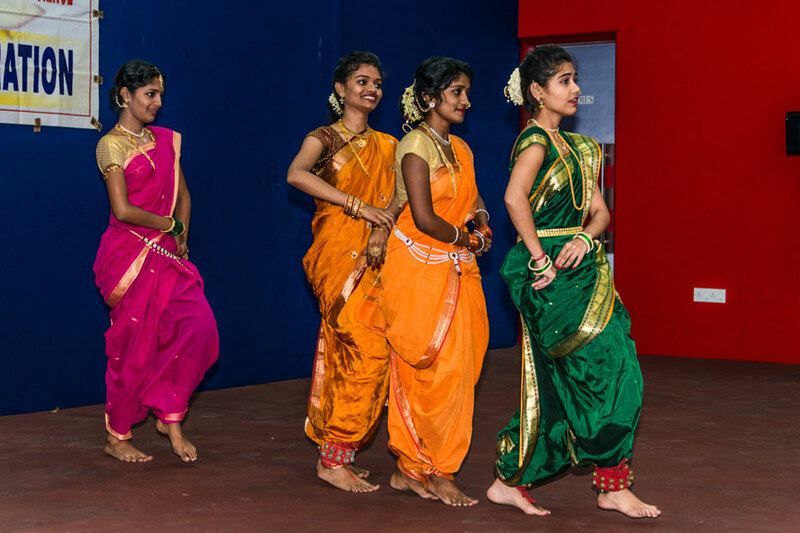 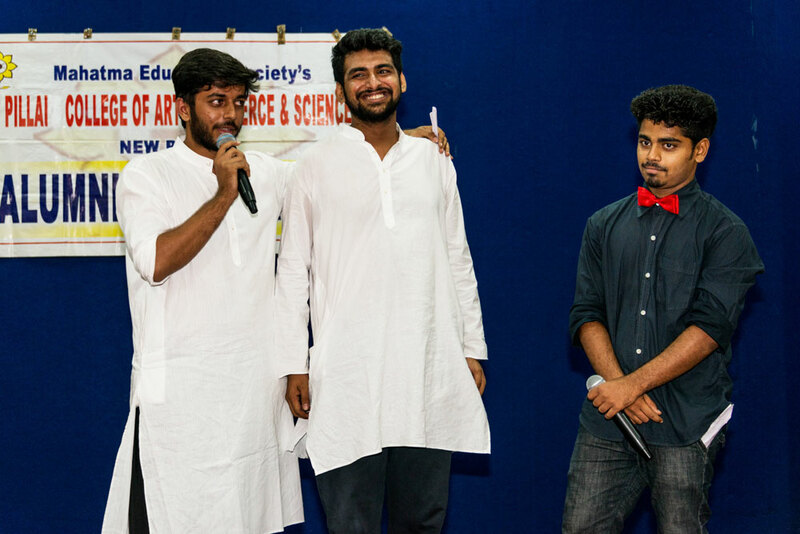 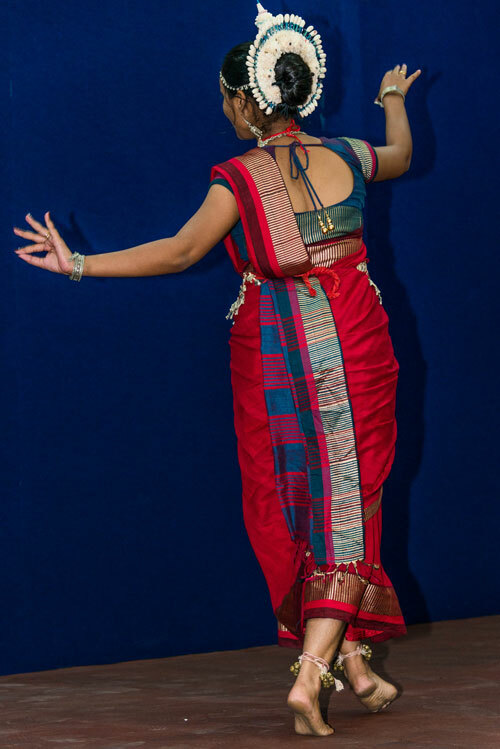 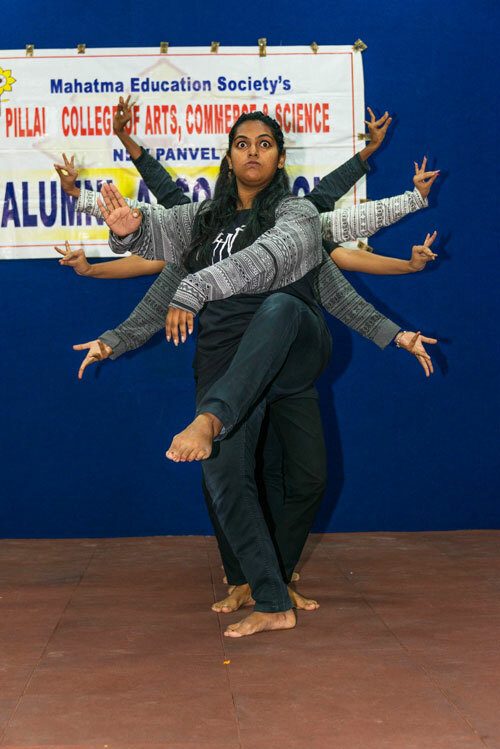 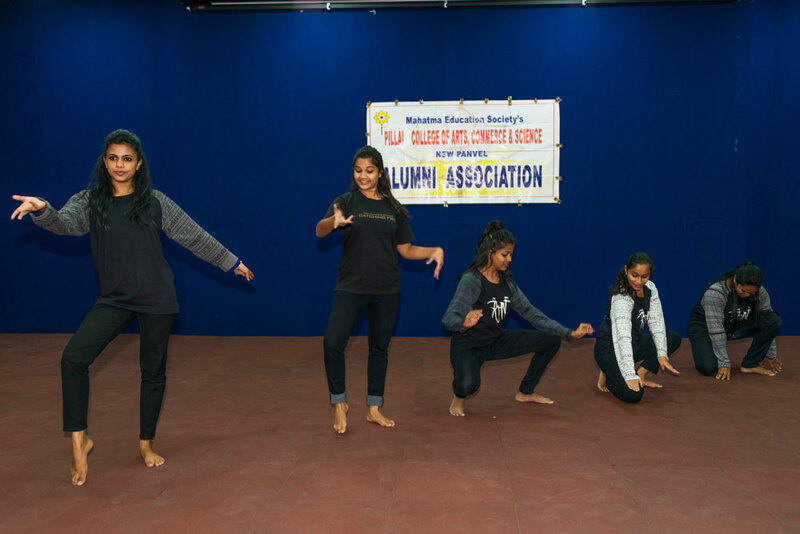 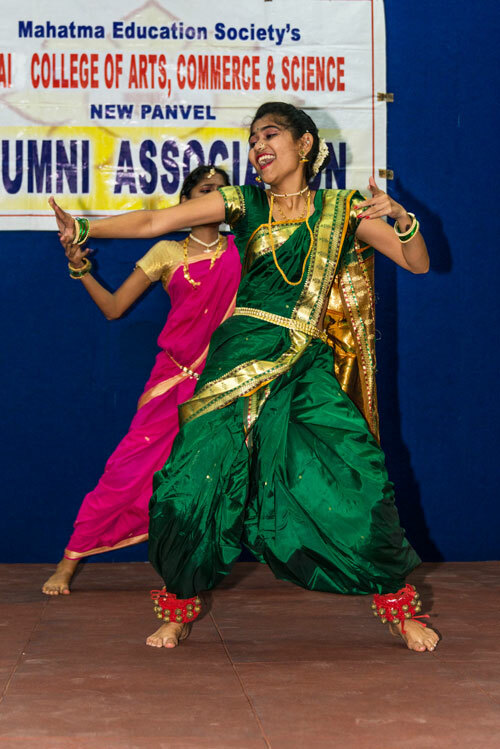 Cultural performance and games were arranged for the Alumni by current students. 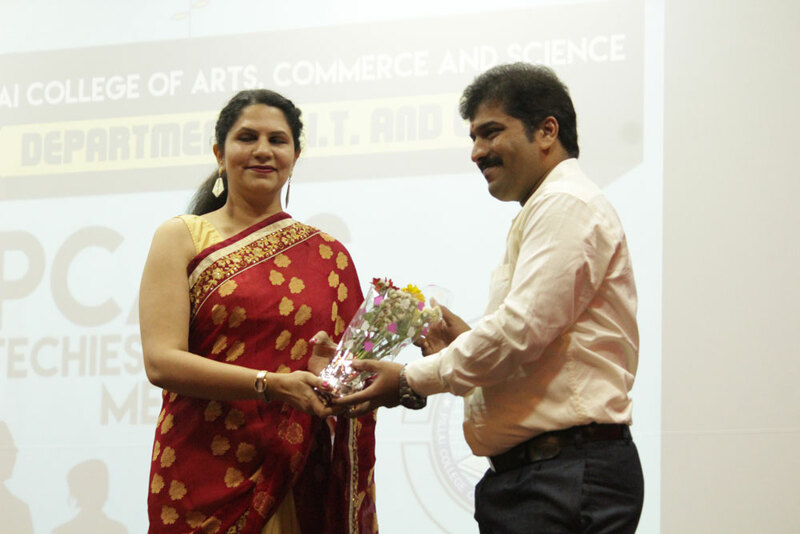 Event was appreciated by all the alumni. 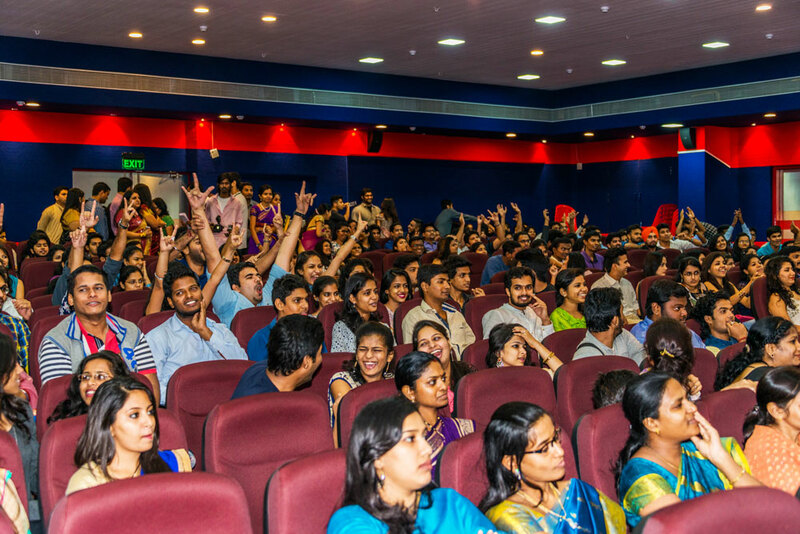 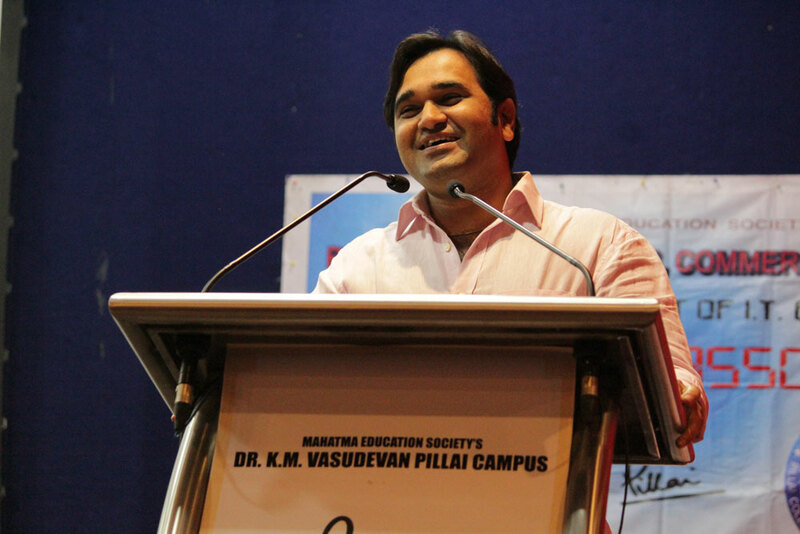 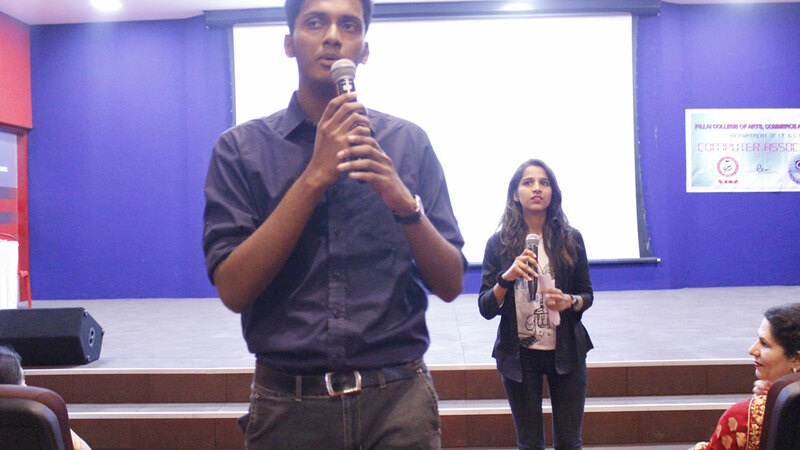 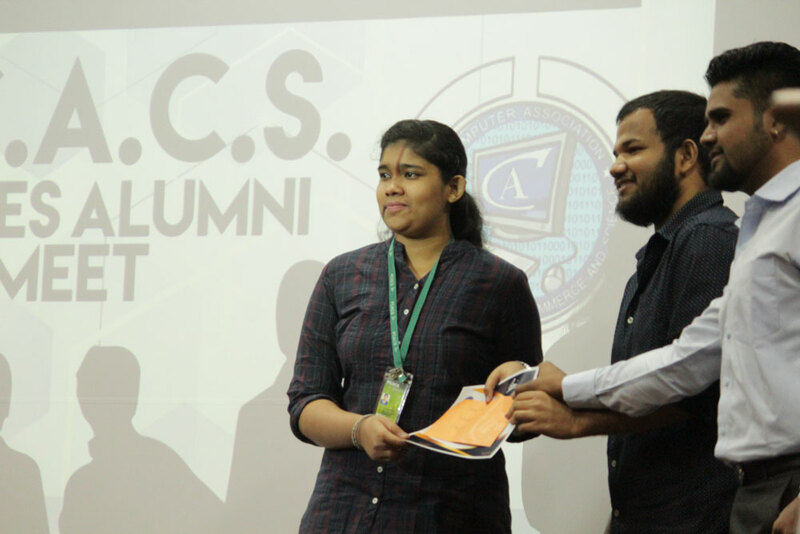 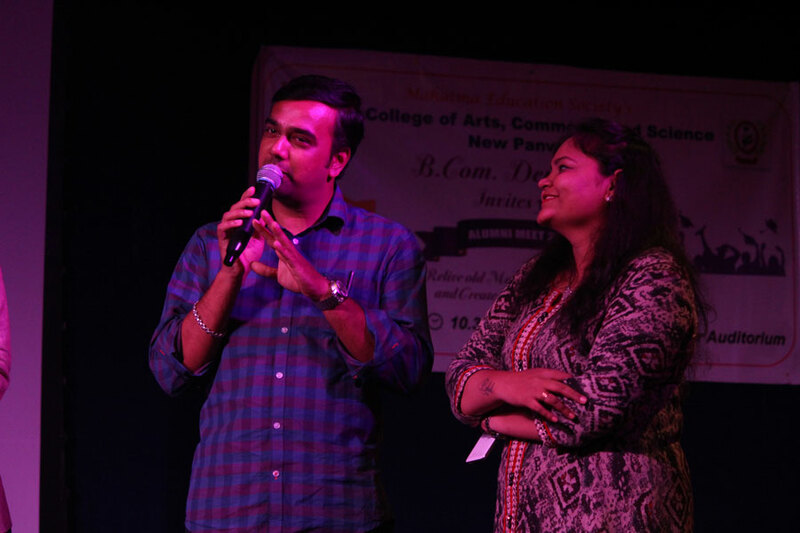 The Alumni Meet was the first event of its kind to be conducted by the Department of I.T. 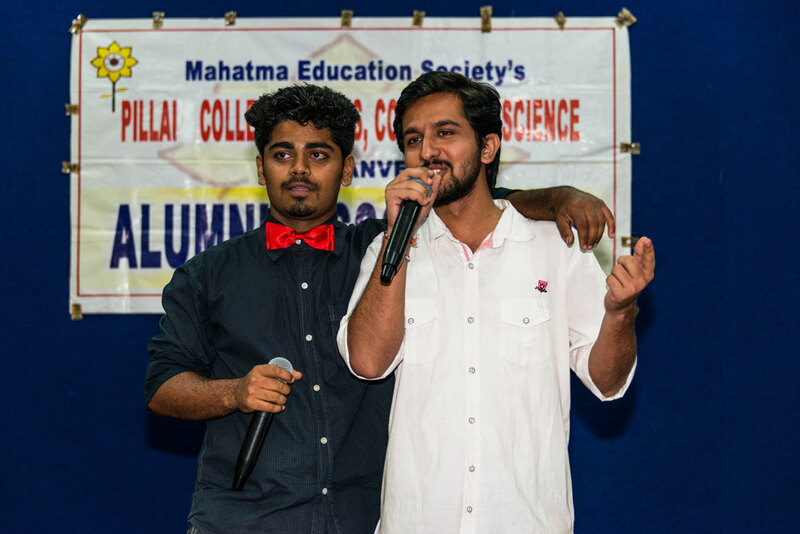 and C.S. 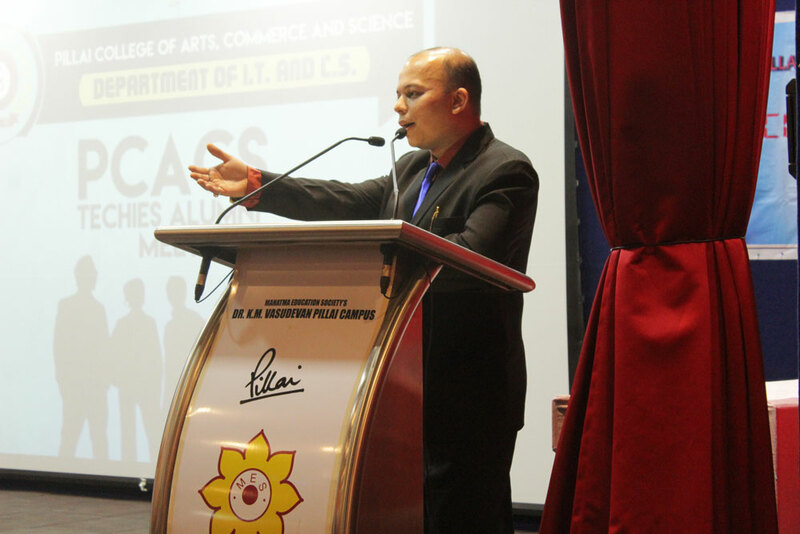 Alumni from Batch 1 i.e. 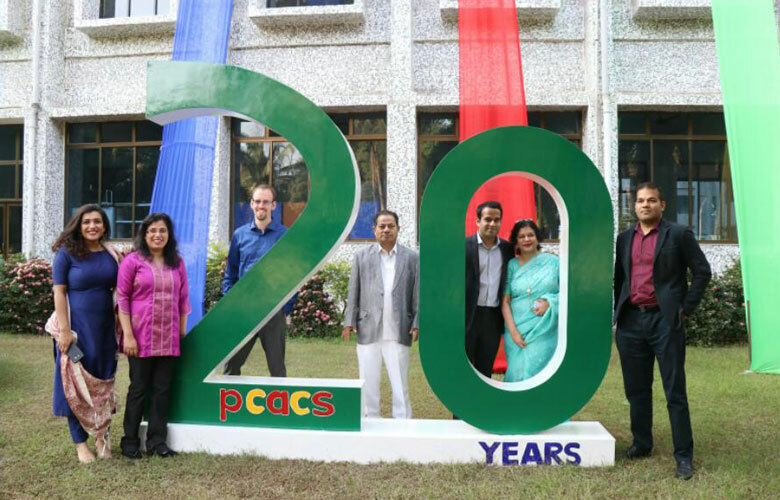 2001-2004 onwards were in attendance for this one-of-a-kind reunion. 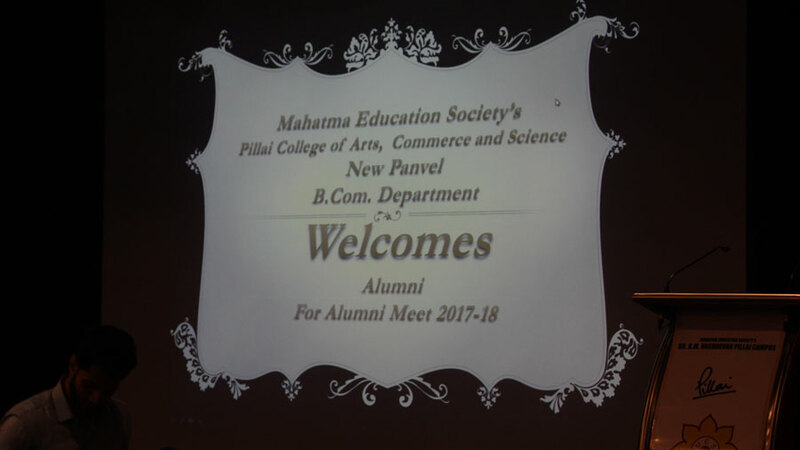 Around 200 alumni attended the event. 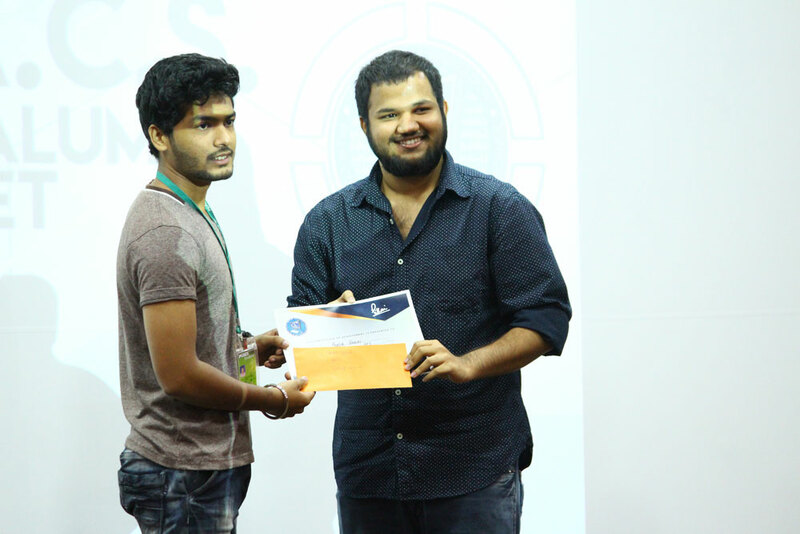 The event included the Prize Distribution Ceremony of various Computer Association events, BITFEST events and Best Student of Department. 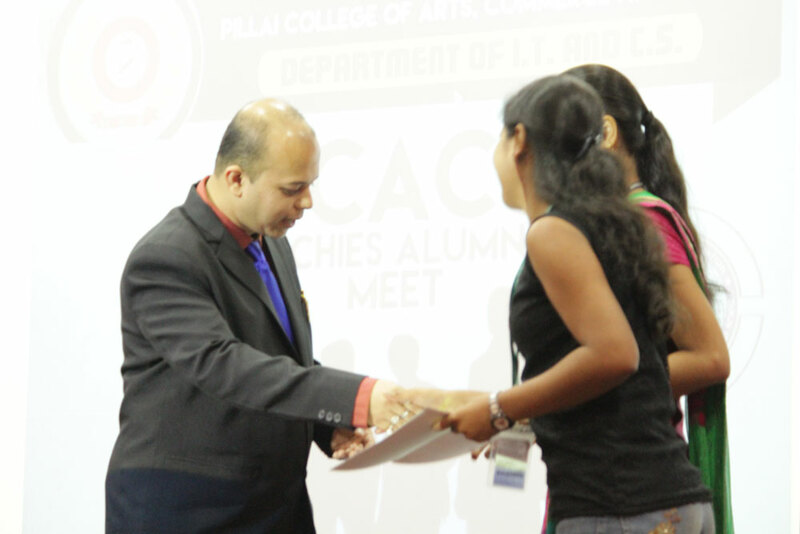 Winners of the events were felicitated by alumni. 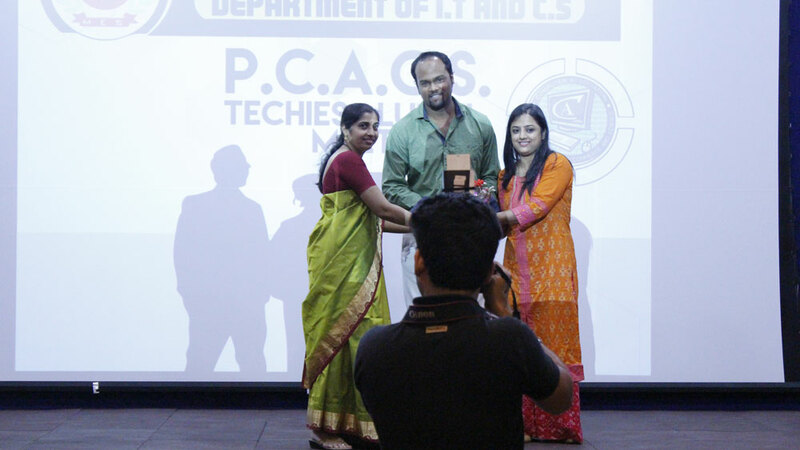 The Department felicitated Mr. Pushpendu Rakshit with “Alumni Achiever Award 2017” for his outstanding achievements in his field of work. 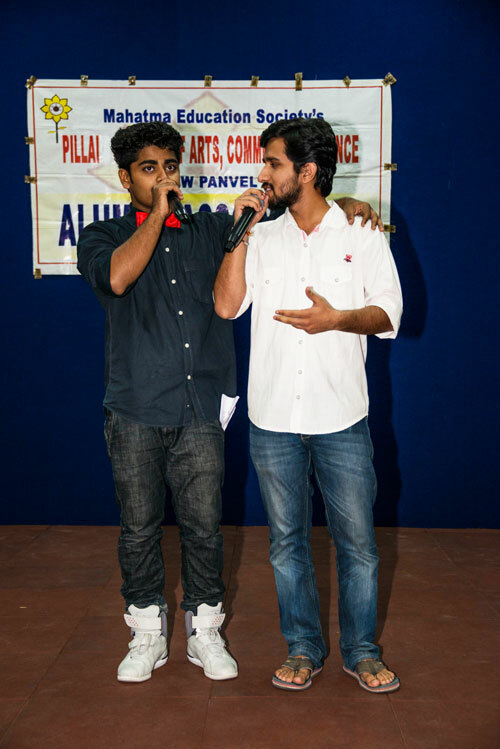 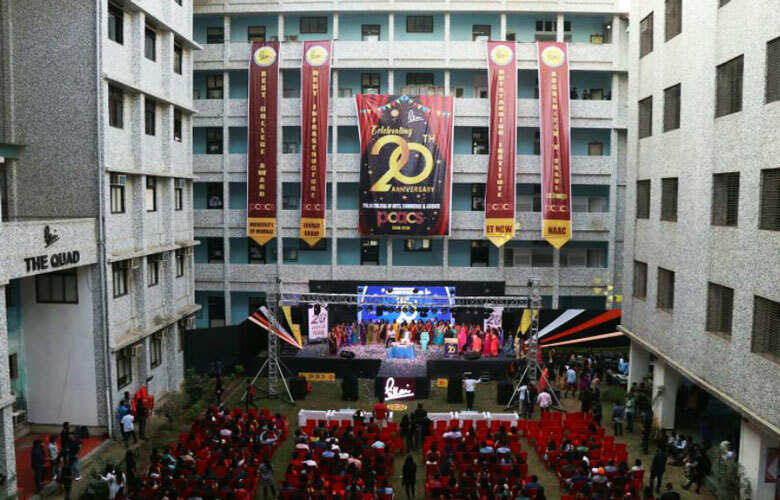 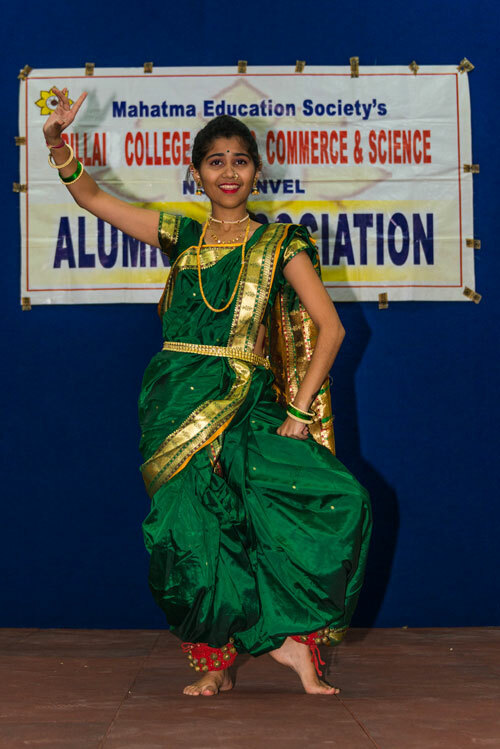 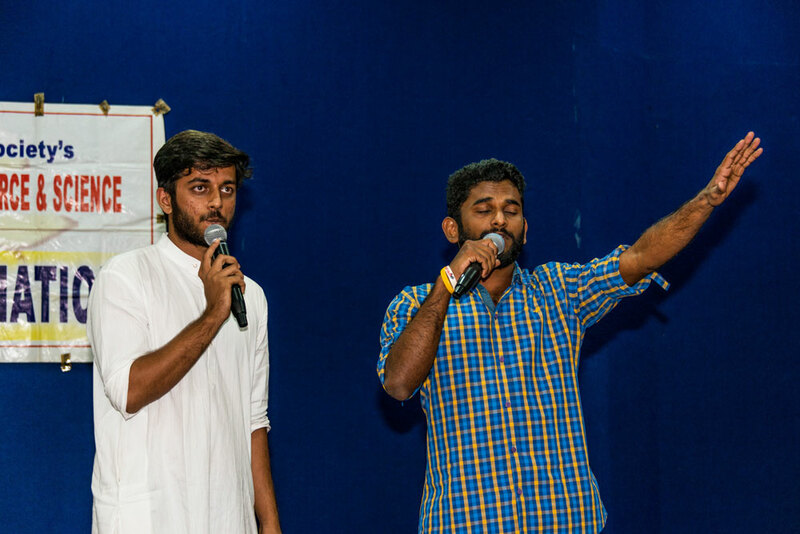 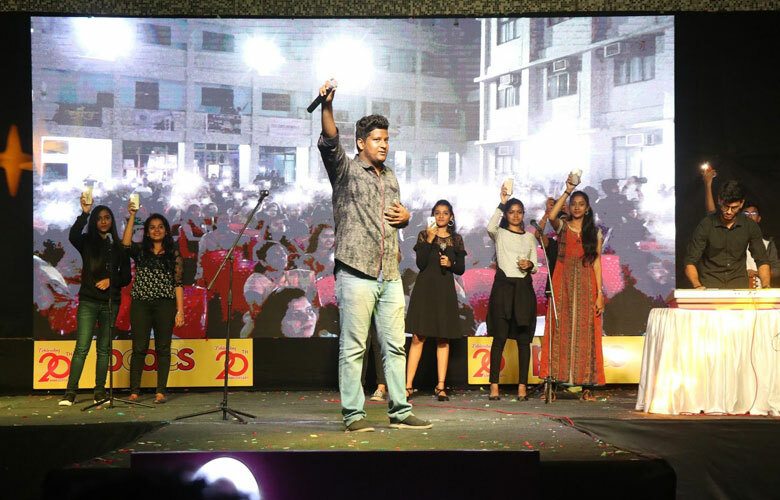 Alumni Meet for the year 2015 – 2016 was held on 28th November, 2015 (Saturday) from 5:00 p.m. to 8:00 p.m. Around 325 students attended the function which was followed by dinner.